Terns – the swallows of the sea. Elegant, swift, precise, bold and beautiful. I never cease to be in awe of them; they draw my eye and the focus of my lens at every opportunity. 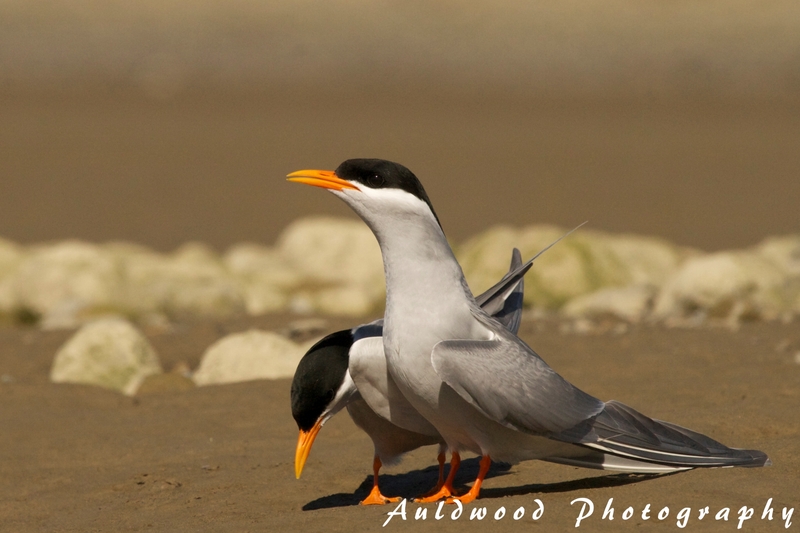 My ‘bucket list’ ambition is to see and get good photographs of all of the terns that breed in, or visit, New Zealand. Considering there are some 14 or so species, and of these some are extremely rare visitors, or only occur on distant islands in our far-flung territorial seas, I have my work cut out for me. But it’s a worthy ambition! 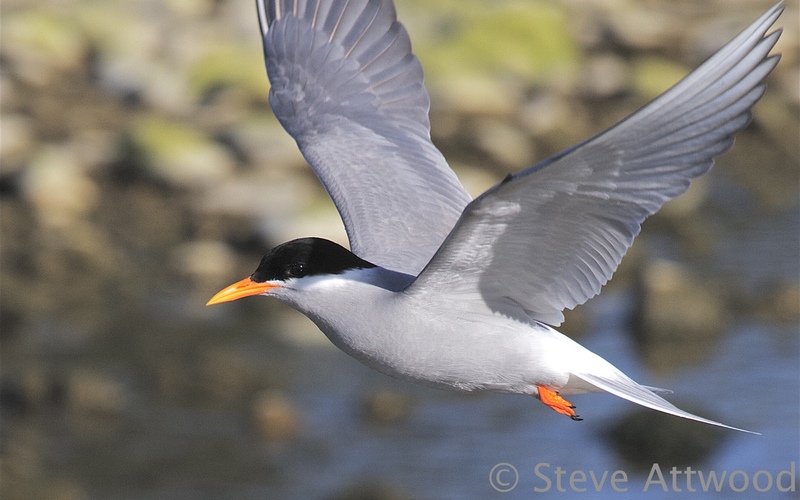 To date my bucket list of tern species seen and photographed has reached a total of five . . . only nine or so to go! I often encounter this tern in large numbers at the Ashley Estuary. When it does not have eggs or chicks, this is a very confiding bird allowing close human approach. 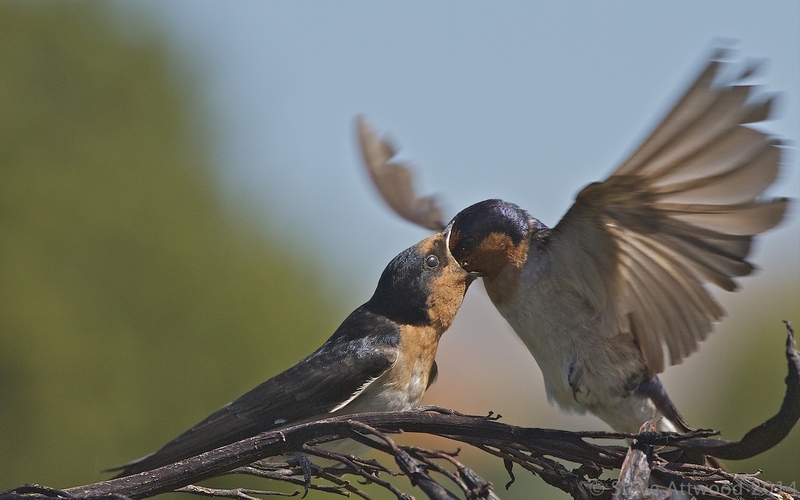 They will happily carry on preening, feeding, courting, mating and roosting with a photographer within less than five metres. 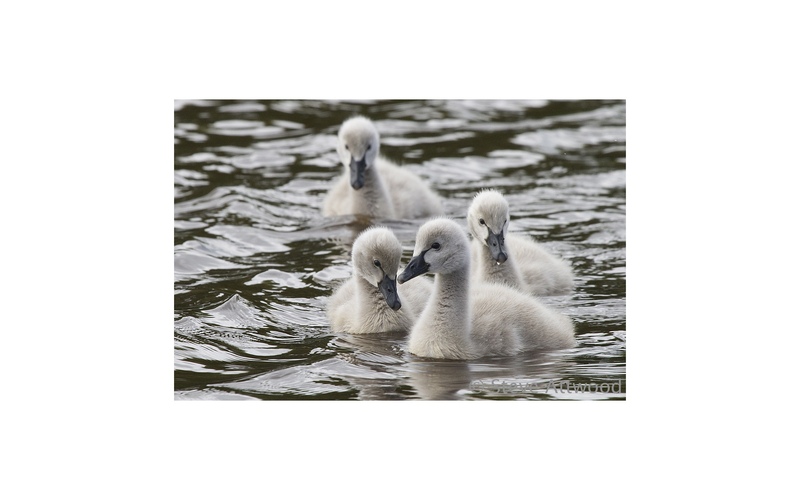 This all changes when they have eggs/chicks; then they are fierce defenders of their space and the photographer must be much more cautious to avoid disturbance. (left): Tara gathered on a jetty railing. 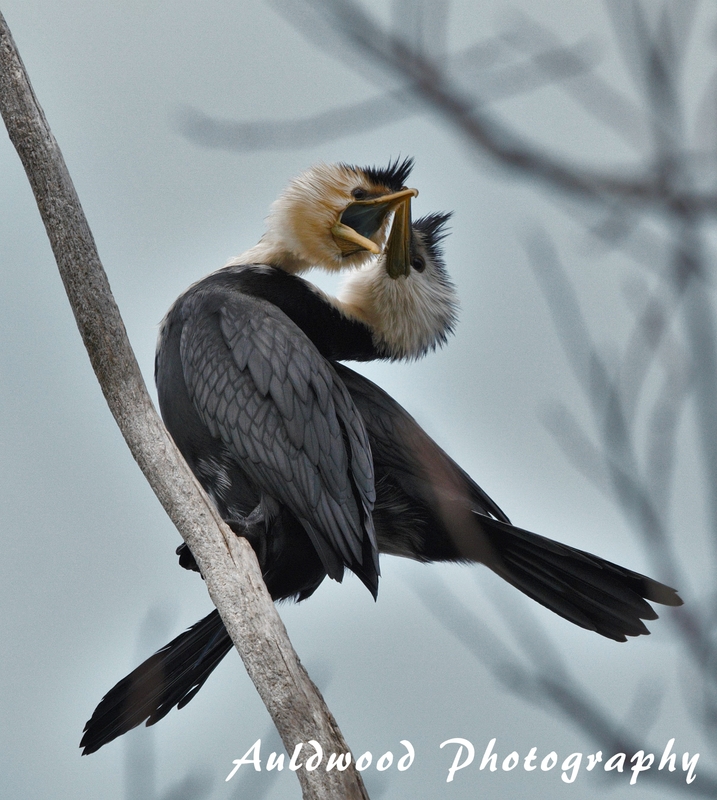 Birds in such areas that are frequently visited by people become very tame allowing very close approach. 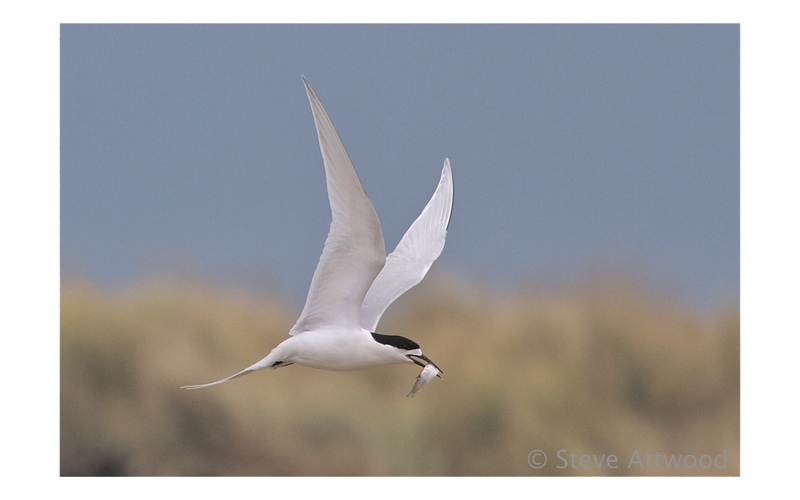 I often hear this, the largest of our terns, before I see it. 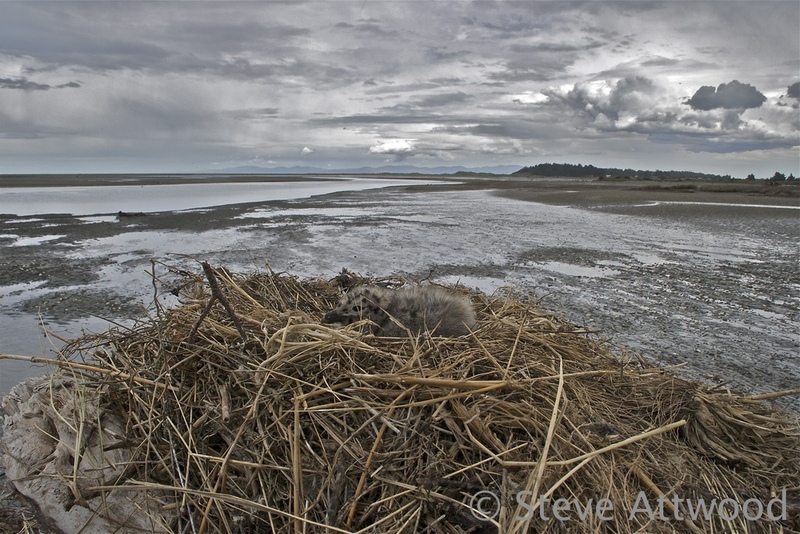 Its harsh croak is a distinctive sound of estuarine areas and around the huge but shallow Te Waihora (Lake Ellesmere), which is a breeding stronghold of this species in New Zealand. 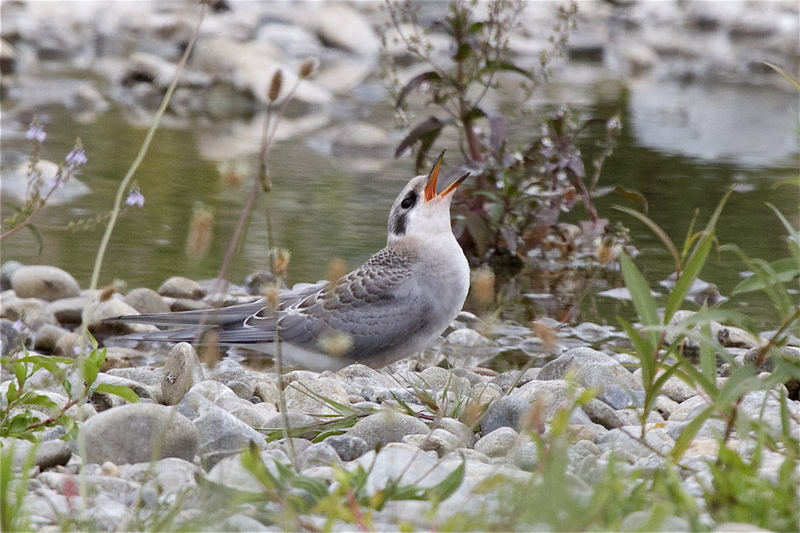 In spite of its size it is a timid tern, very difficult to approach. But it will often roost with its bolder, smaller, cousins and that seems to give it more courage. And, once in the air fishing, it will pass very close to the photographer indeed, if you can work out its fishing ‘beat’ and position yourself accordingly. Of the terns I encounter regularly in my home province of Canterbury on the South Island’s east coast, the tarapirohe is a favourite. 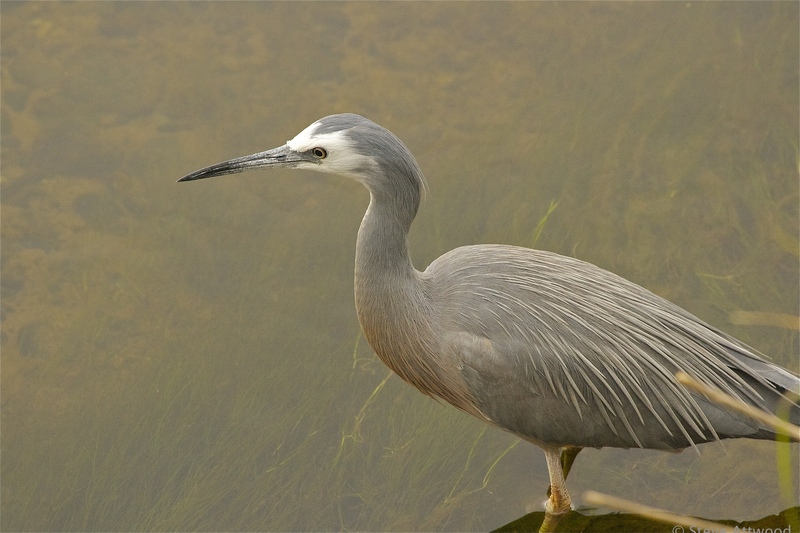 In mating plumage the adults are strikingly beautiful, but that is not the only reason I find them particularly appealing. I am a passionate advocate for the protection of our unique braided river ecosystems. This is a rare ecosystem globally and New Zealand is the world capital, with Canterbury containing some 60% of the total area of braided rivers in New Zealand. 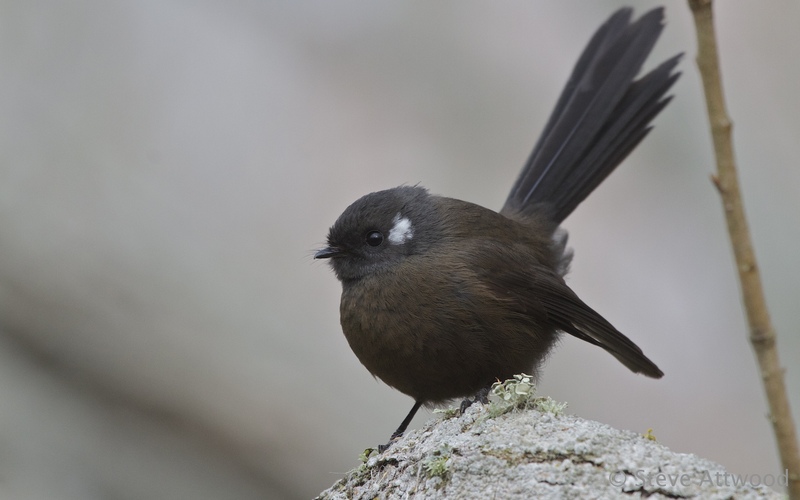 The tarapirohe only breeds in the eastern South Island’s braided rivers. 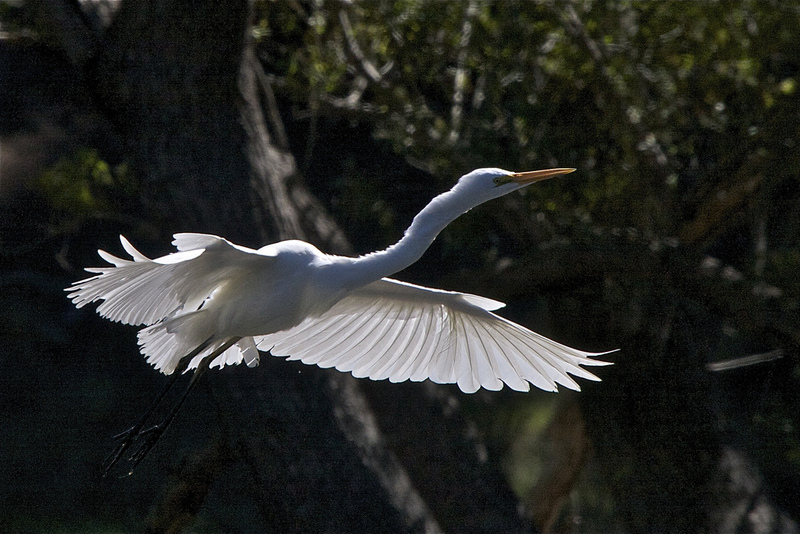 Indeed, while it overwinters on the estuarine coasts, it is effectively an inland tern. 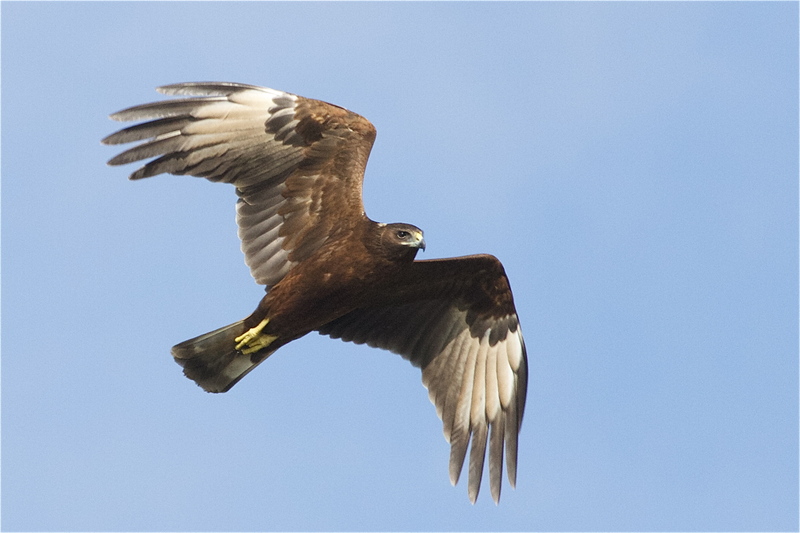 It is often seen hawking over pasture and its nests (a mere scrape) among the alluvial stones can be found in riverbeds at the very foot of our highest mountains. As with its bigger cousin the Caspian, the first, and only, time I saw this large tern, I heard it first, it’s call so similar to that of the Caspian I thought it was this species until it came closer. 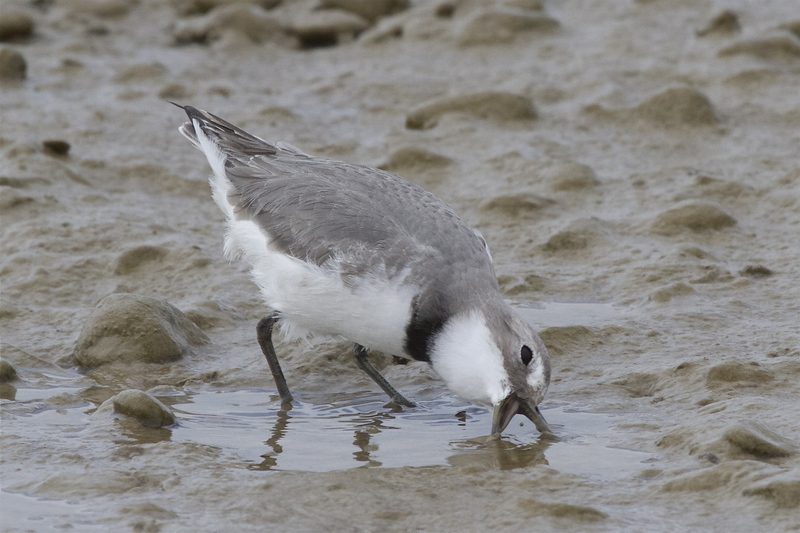 I was on the wide mud flats of Te Waihora (Lake Ellesmere), which is a site where gull-billed terns have been recorded semi-regularly, albeit in very small numbers. The birds (only four) circled me and were gone, but giving me just enough time to get a couple of shots. 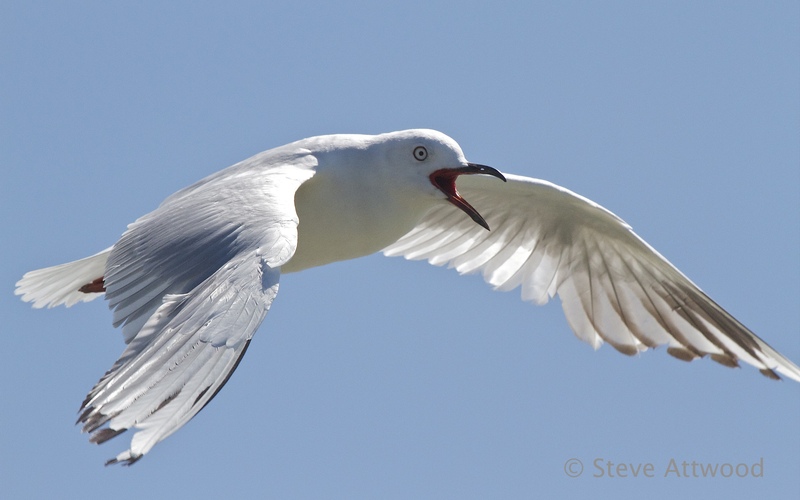 I was photographing gulls and terns on the wide shallows of Te Waihora (Lake Ellesmere) when I heard a bird call distinctly different from the birds around me. There in the distance was a very small tern hovering over the water, calling constantly. A fruitless stalk followed, the flickering ghost of a bird kept its distance hiding in the heat shimmer over the lake. So my first, and only, photo of a little tern is a heavy crop out of a much bigger picture, verging on pixilation. But it’s the only photo I have to record this encounter with such a dainty little visitor and it will remain in my collection until the chance to take something better comes along. I often think of terns as angels of light. When you can capture them against the light of the sky or a rising or setting sun, there is a glory about them that no great painter of religious icons can replicate. 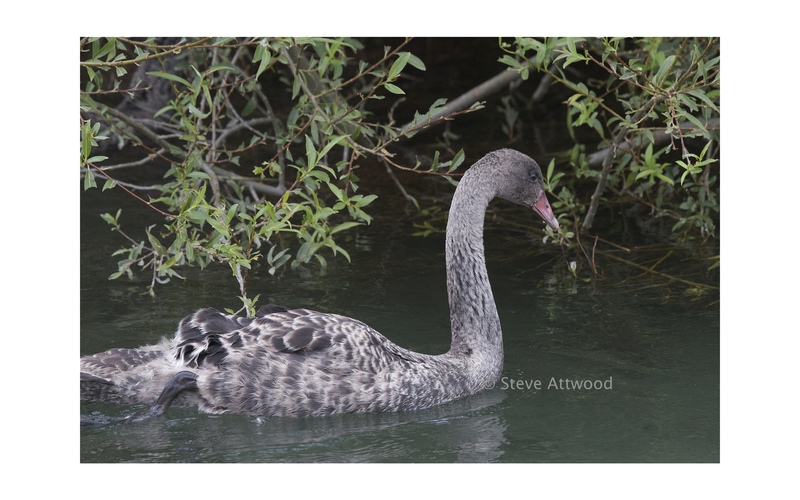 *Birds of New Zealand – a photographic guide, Scofield and Stephenson. 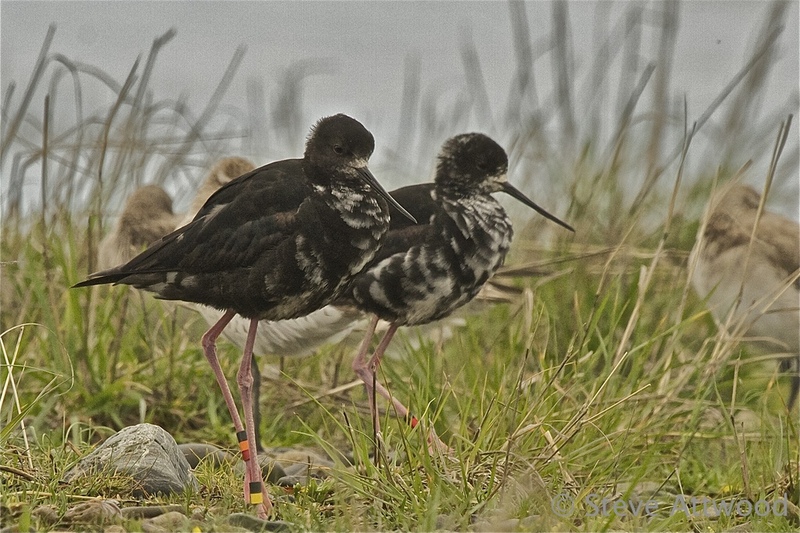 As September draws to a close the breeding season of New Zealand’s unique braided river birds is just starting to get into gear. 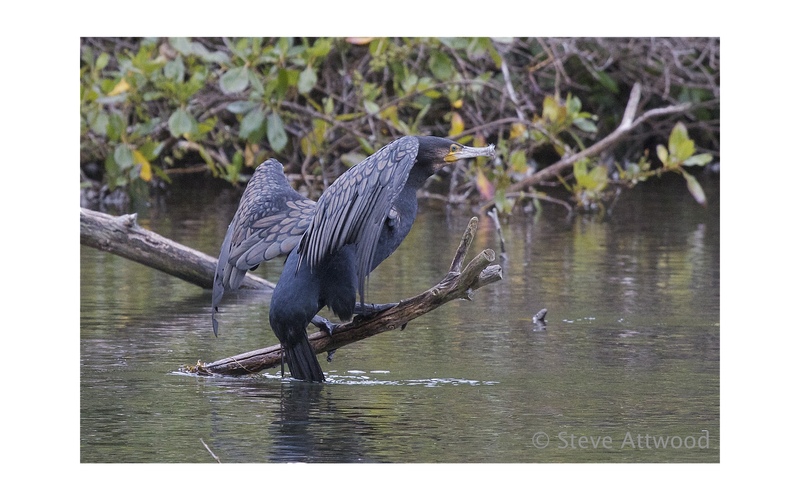 Early arrivals have been on the river since about mid-August, but most of the time since has been about finding a mate (or re-establishing an existing pair bond), finding a suitable nesting territory and defending it. 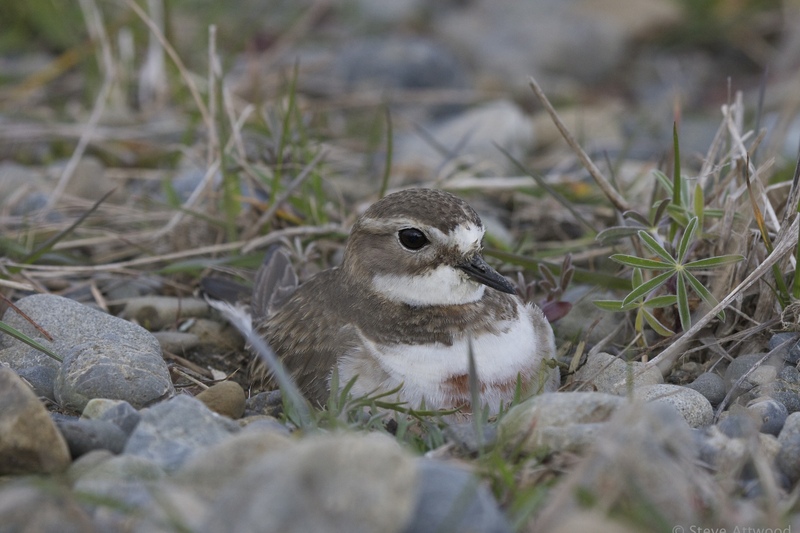 By now, however, these preliminaries are nearly over for the early breeders such as the ngutuparore (wrybill- Anarhynchus frontalis) and tuturiwhatu (banded dotterel – Charadrius bicinctus) and the serious business of laying and brooding is getting underway. 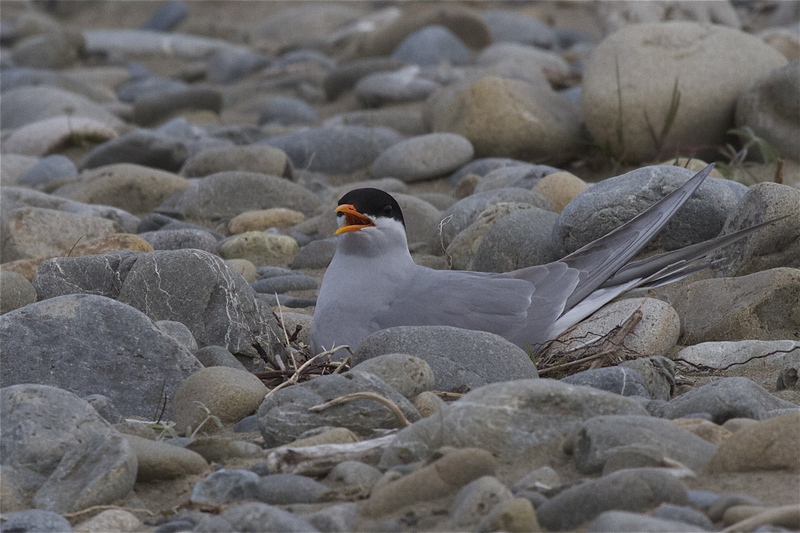 For some of our other braided river specialists however, such as the tarapiroe (black-fronted tern – Chlidonias albostriatus) and tarapuka (black-billed gill – Larus bulleri) the finicky process of finding just the right shingle bank or river-stone island to nest on has only just begun. 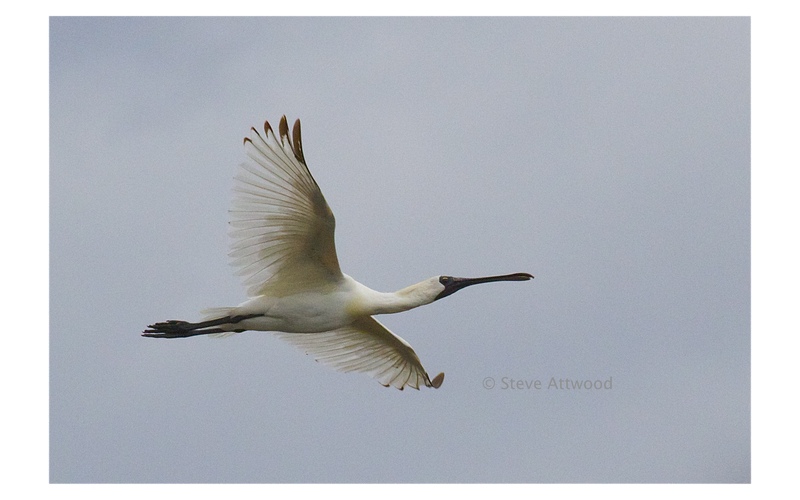 But, whether already nesting or still scouting around for a likely spot, from the hills to the sea the Ashley-Rakahuri River is now busy with birdlife as both the permanent avian residents and the seasonal visitors embark on the crucially important business of reproduction. 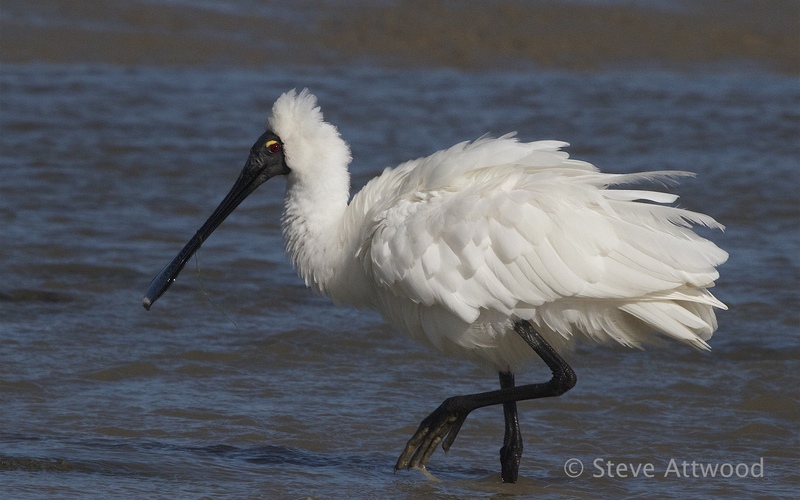 Recently I presented a photographic exhibition featuring a birds of the river on a journey from the inland braided channels to the estuarine coast. The following is an edited reproduction of that presentation. 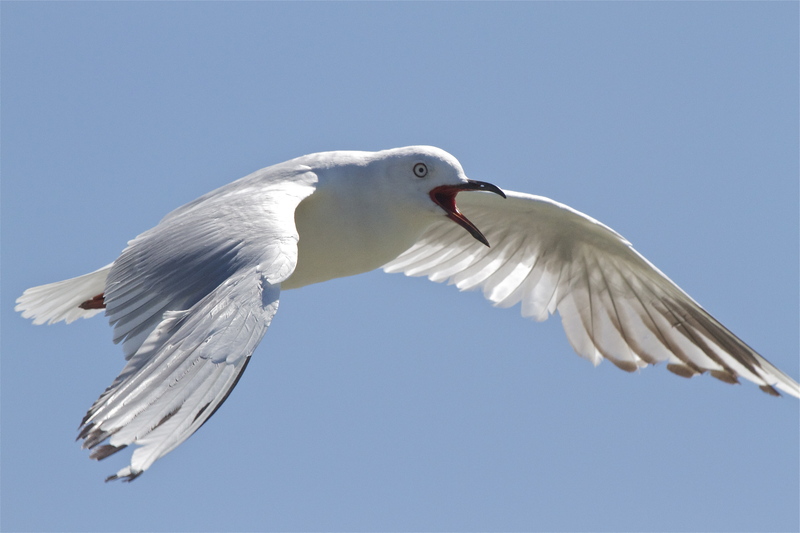 The tarapuka (black-billed gull – Larus bulleri) is fussy when it comes to establishing a nesting colony and often tries several spots before finally coming to some sort of mass agreement and the whole colony settles down to make nests, mate, lay and brood eggs. 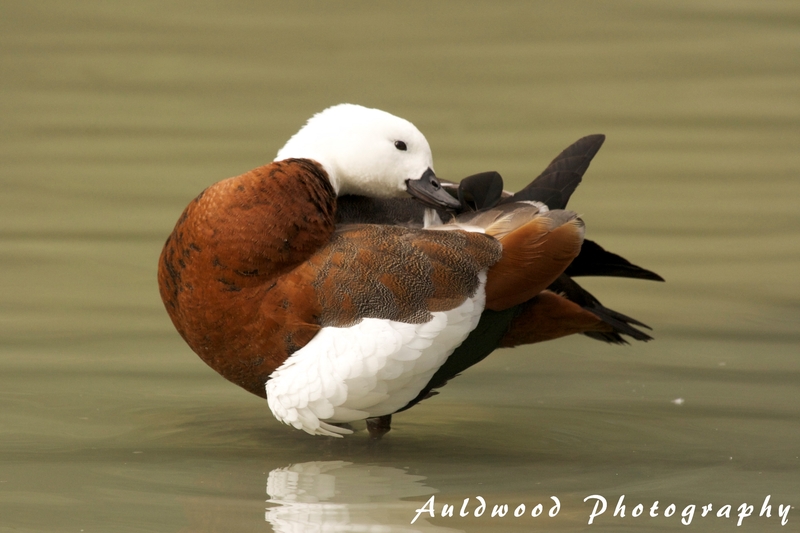 Putangitangi (Paradise shelduck – Tadorna variegata) are more cosmopolitan breeders, their nests found on the borders of the estuary and also well upriver among the braided river channels, usually on a more permanent island where there is some plant cover. The notorious Canterbury nor’ wester burns across the landscape sucking oxygen and moisture out of the air with equal ferocity. The stones of the Waimakariri riverbed warp and shiver in the reflected heat; mirages dance ephemerally in the air. A rhythmic, breathy sound comes to me across the stones, as if some great beast lies nearby, gasping in the heat of the day. But this is not one beast . . . it is hundreds. 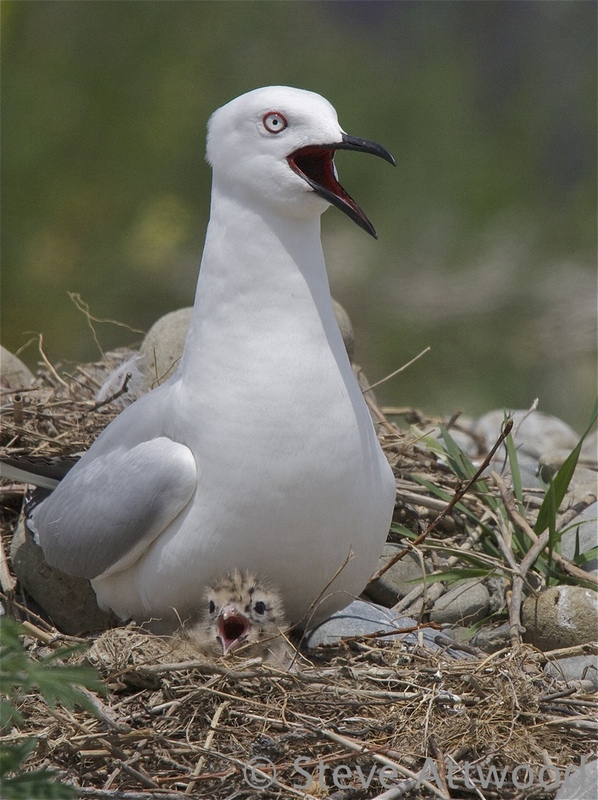 Some 300 tarapuka in their riverbed colony, each black-billed gull standing over its nest, all panting in unison, holding steadfast in the sun to give their chicks a slim patch of shade. It is late November, the middle of the river season. It was cooler when, on the Ashley-Rakahuri estuary, the arrival of the ngutuparore toward the end of August signalled the beginning of the river season. At first in twos and threes and then in dozens the wrybills turned up at the estuary after their long flight from over-wintering grounds far to the north. Hungry, and with breeding to build condition for, they fed in the tidal mud with the voraciousness of shrews. By October, all had moved inland to braided rivers where they could find the clean, weed-free, banks of river stones among which they build their shallow nests. 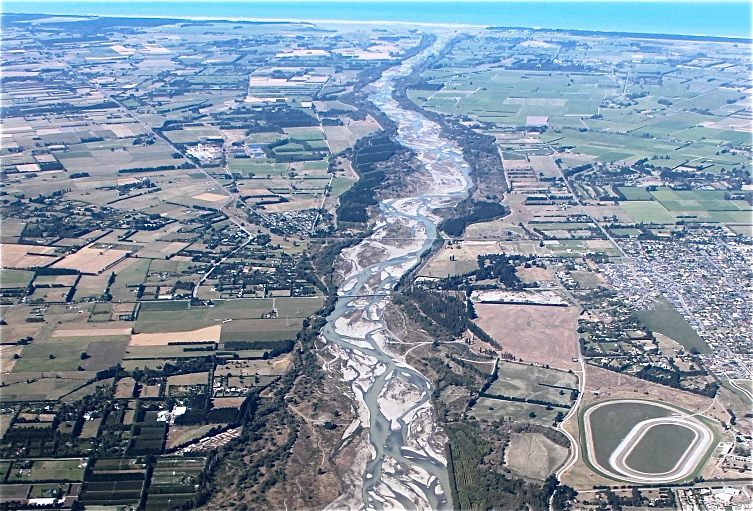 A few pair simply head upstream on the Ashley-Rakahuri but others go further afield to Canterbury’s bigger braided rivers: the Waimakariri, Rangitata, Rakaia, and beyond. 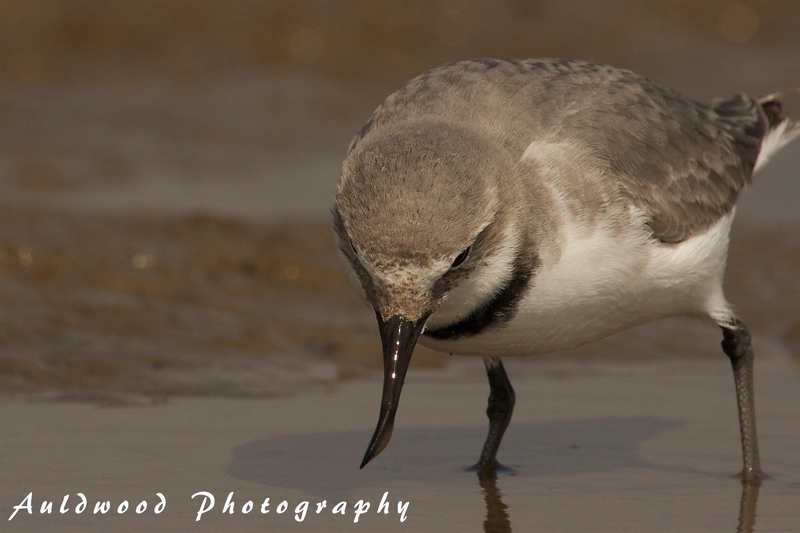 wrybill feeding as voraciously as shrews! Pohowera numbers also swell in August. 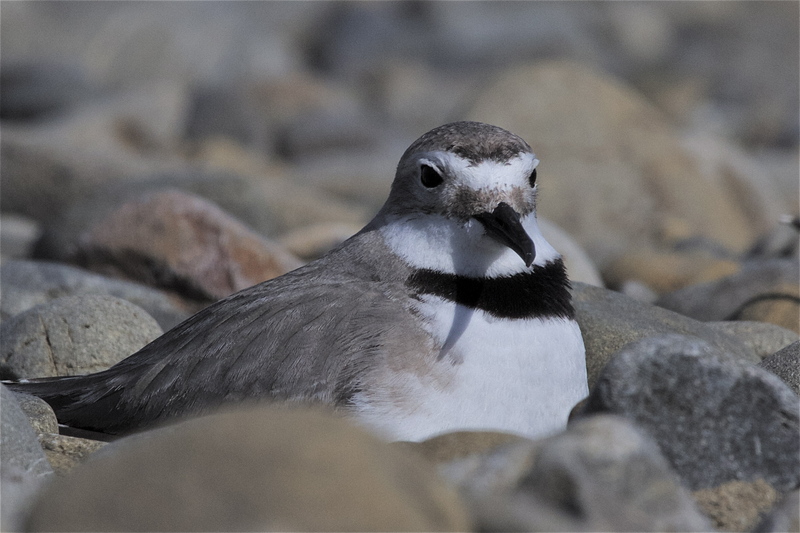 Many of these hardy dotterels spend their whole lives on the coast, but those that breed inland on the braided rivers tend to migrate west to Australia. Splendid in their fresh breeding colours of red and black bands, they return in early spring to join the over-wintering locals to feed up, find mates and establish nesting territories. 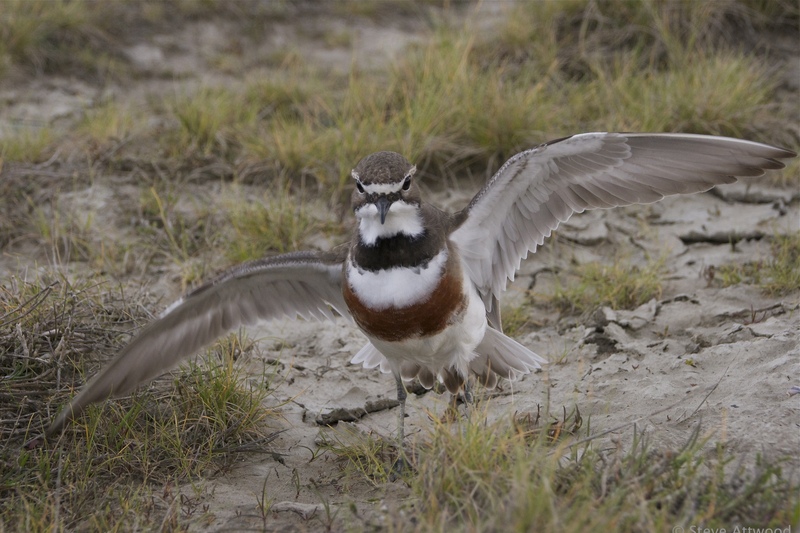 For much of the year, banded dotterels can be cautious birds, wary of too close an approach, but with spring comes hormone-fuelled courage. 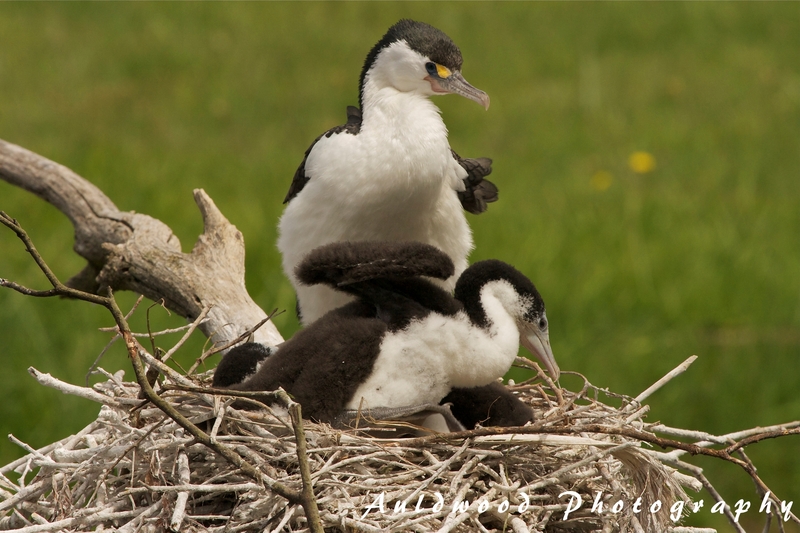 The males hotly contest for territory and established pairs are remarkably bold, especially once they have a nest to defend and will tolerate a patient photographer within two metres. 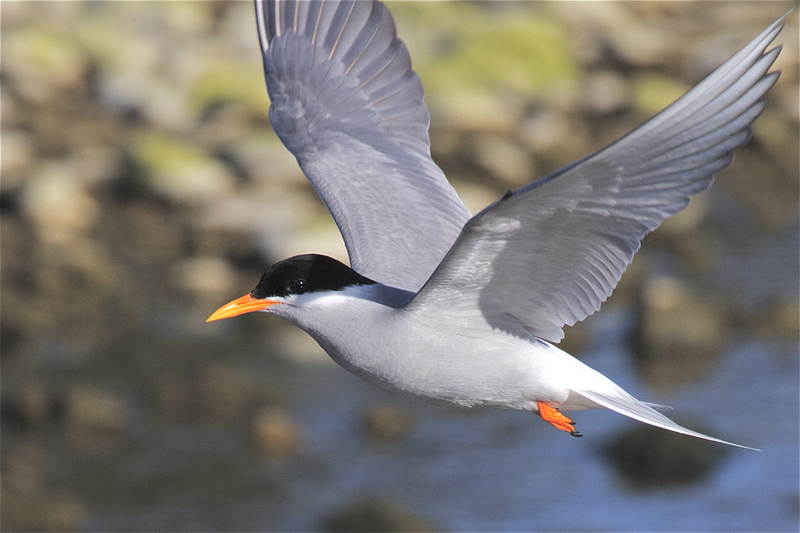 On the Ashley-Rakahuri estuary, flocks of tarapiroe (black fronted tern) have wintered over, along with their cousins the tara (white-fronted tern), taranui (Caspian tern) and the black-billed gulls. 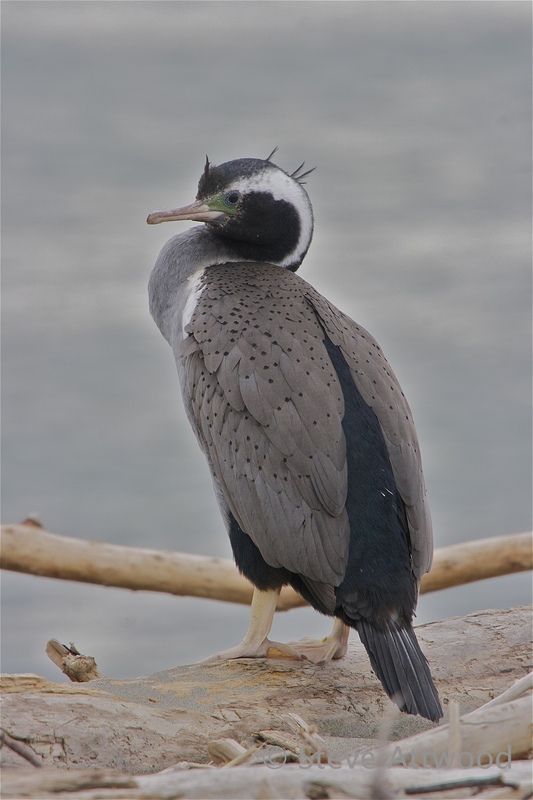 But as spring progresses these strikingly beautiful terns – capped in black velvet with road-code orange bills and legs – also head inland to share the clean river shingle with the wrybills, dotterels, black-billed gulls and the other braided river nesters. 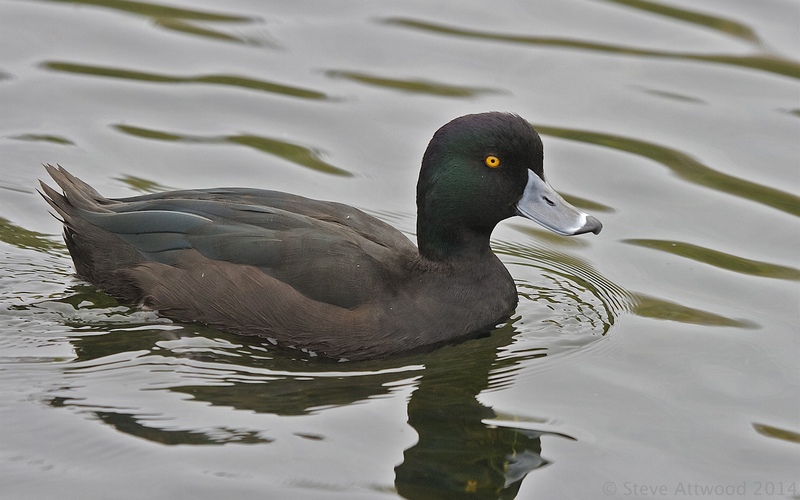 Some of their white-fronted cousins also choose to move inland, choosing higher shingle banks in the river, often near the added security of other bird colonies. Some of the black-fronted tern nest in sizeable colonies alongside the black-billed gulls, which is a great strategy because the gulls are alert and ferocious sentries. 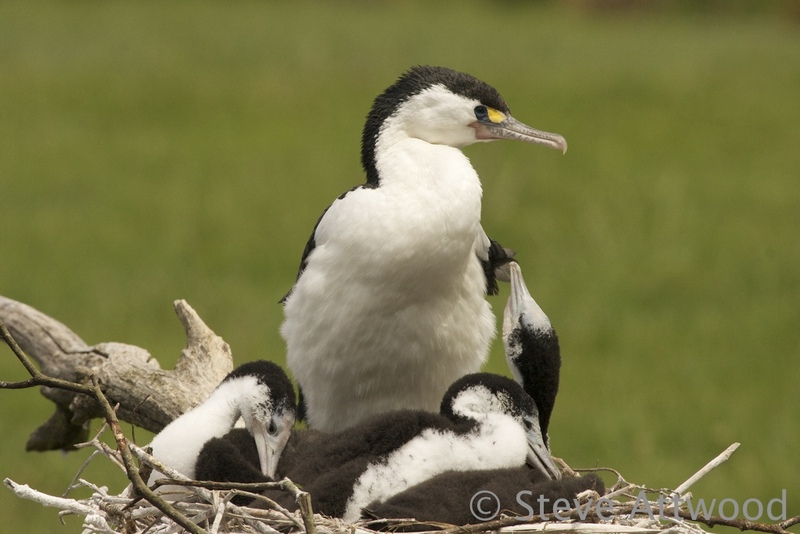 But others scatter themselves along the Ashley-Rakahuri in small groupings of nests, wherever the shingle banks provide the right conditions. 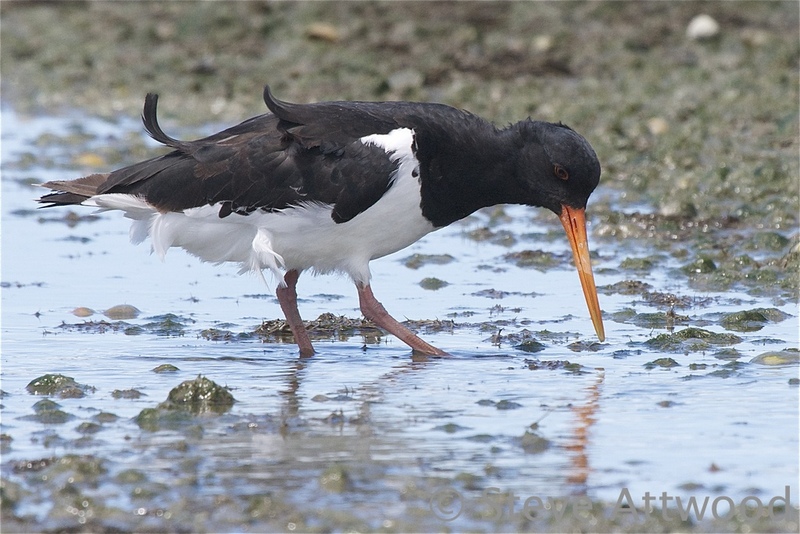 There they are joined by the poaka (pied stilt), spur-winged plover, torea (South Island Pied Oystercatcher), and the karoro (Southern black-backed gull). 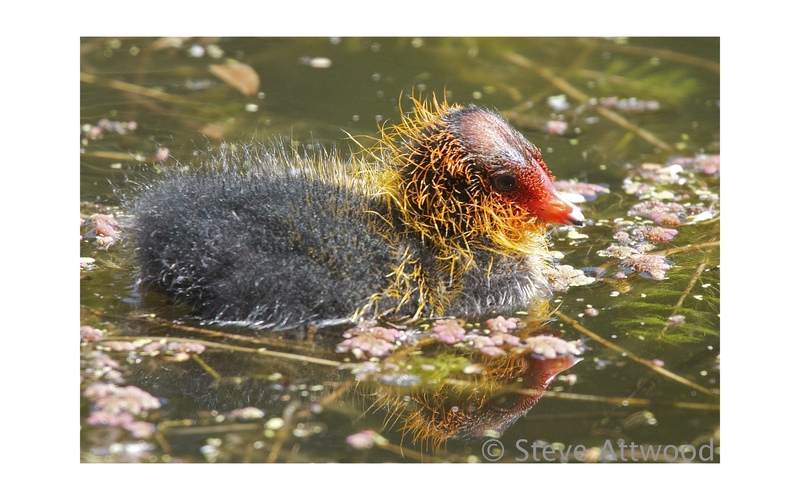 By mid November there are many voices on the river as the river nesters begin to hatch their young and attend to the task of feeding and raising their chicks. Each has a different style. 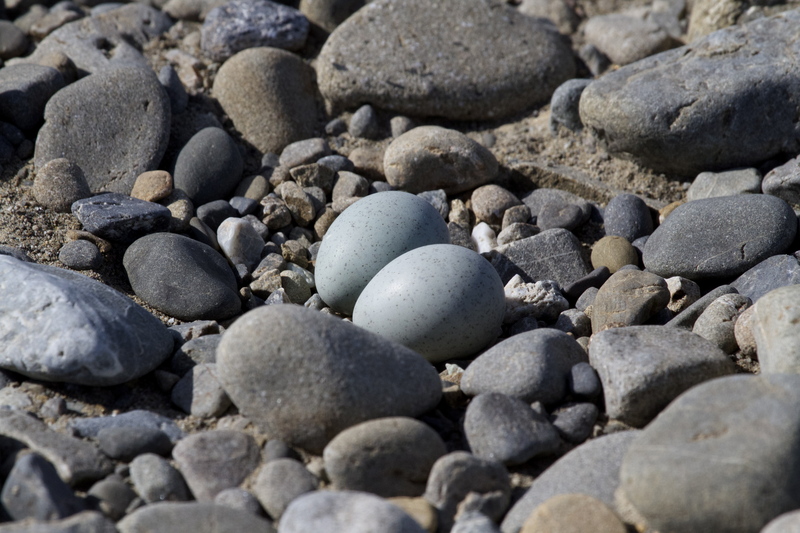 The black-fronted tern do little more than scrape a hollow in the stones, perhaps adding a few rudimentary twigs or scraps of weed, but essentially their eggs lie directly on the stones. 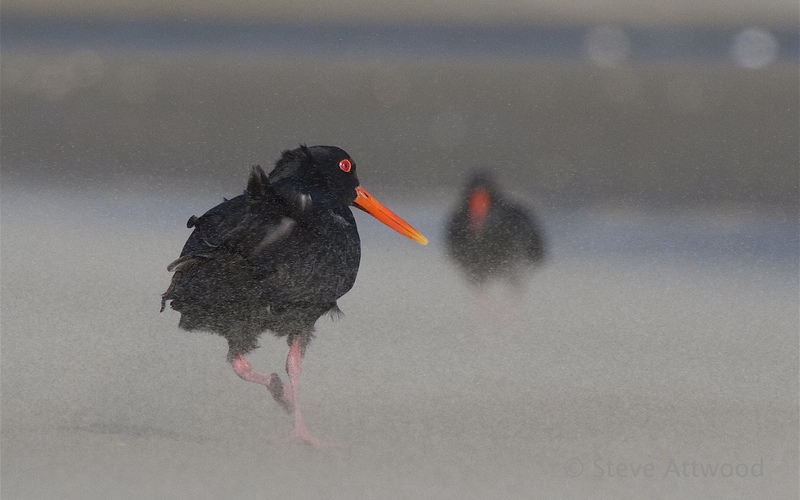 The stilts and oystercatchers use a similar tactic, with little if any covering over the stones to cushion the eggs. 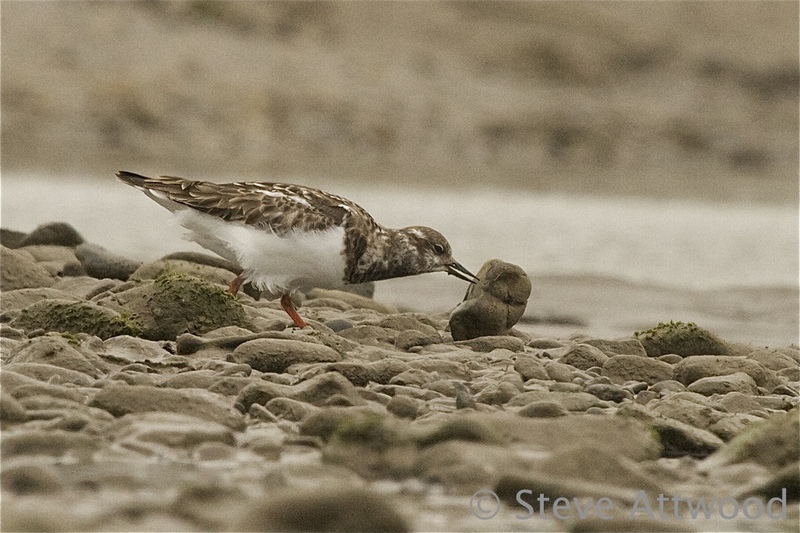 Wrybills seem to be just as perfunctory in the nesting department, but a closer look reveals something remarkable – the tiny bowl they have made among the stones has been lined with very small pebbles . . . an exercise in remarkable patience and care! The gulls, on the other hand, build actual nests. 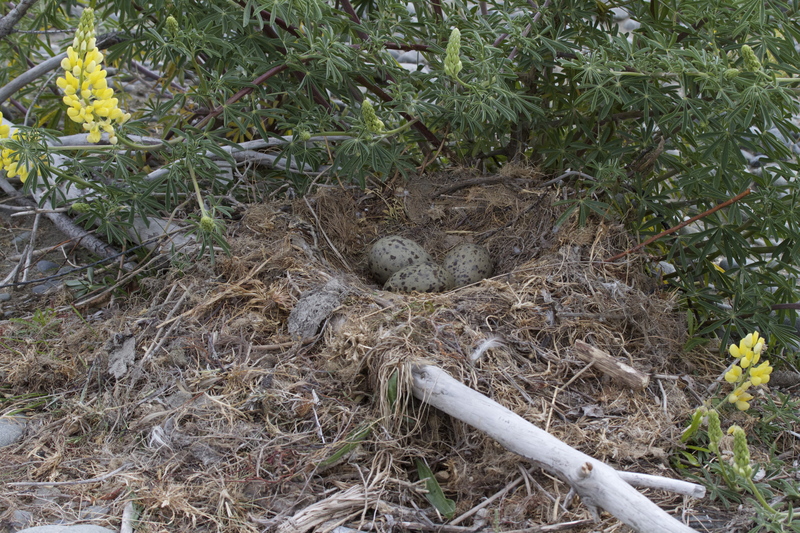 The black-billed nest is fairly basic but provides a platform of twigs and river detritus to give their eggs some cushioning. 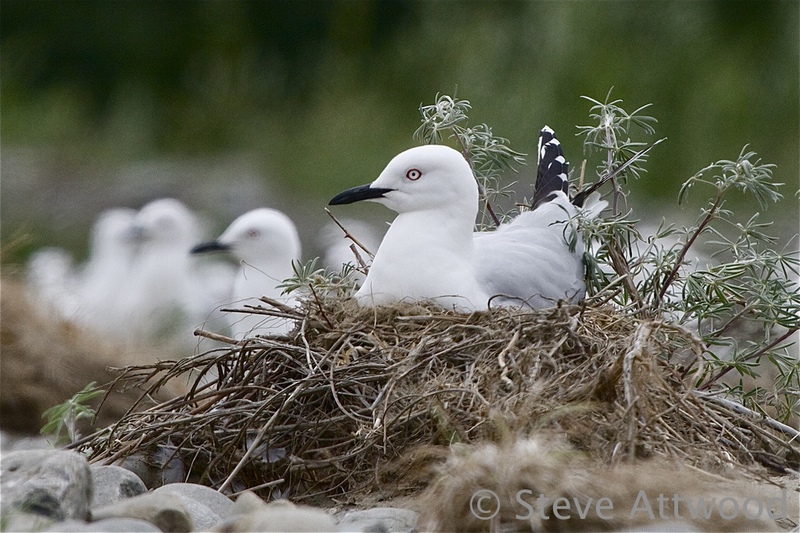 Their large cousins, the black-backed gulls, build substantial piles of tangled sticks and river weeds that seem unnecessarily large for the modest eggs cupped within, but this commodious affair is revealed as practical when the fast-growing chicks soon fill it to its borders. 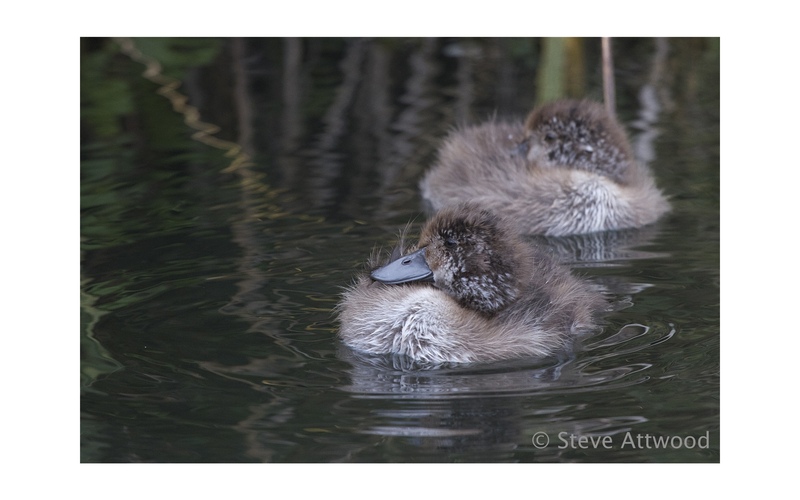 The waders all have chicks that pretty much feed themselves from the moment of hatching, relying on their parents for protection and the lessons of life, but quickly learning to find for themselves the bugs and grubs in the river shallows. 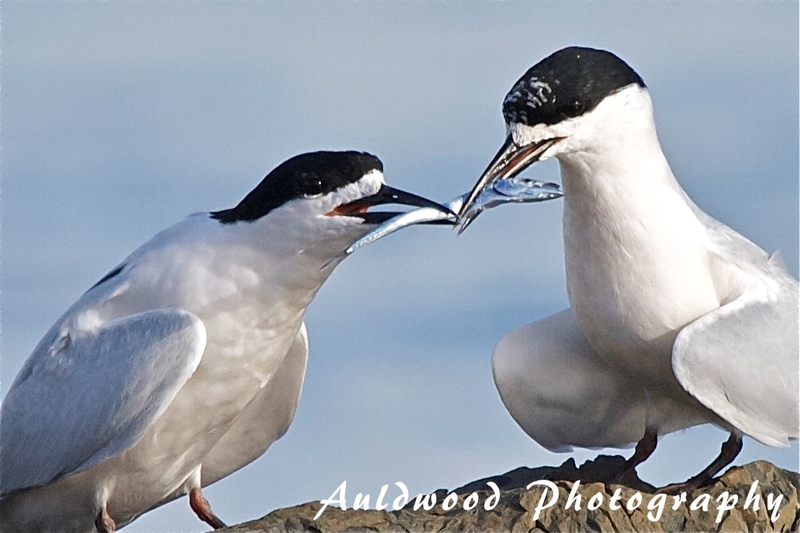 The terns and gulls are more solicitous, bringing food to the nests to feed the demanding chicks. 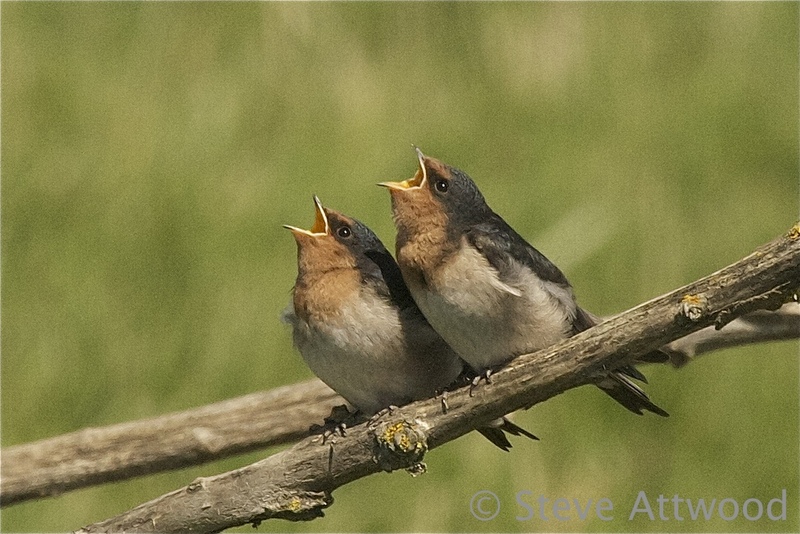 Even when fully fledged, young tarapiroe will sit on the ground begging food from their parents. 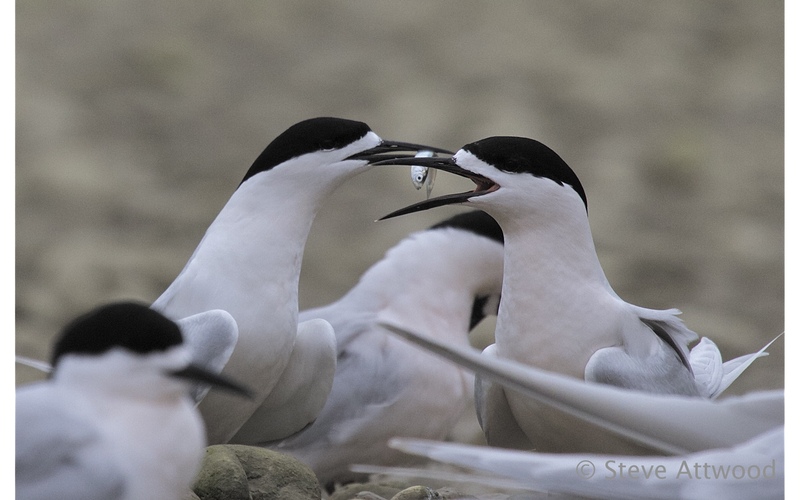 In tern colonies an overhead adult carrying a fish sets off a chorus of excited calling as each chick hopes it is their parent that has returned. 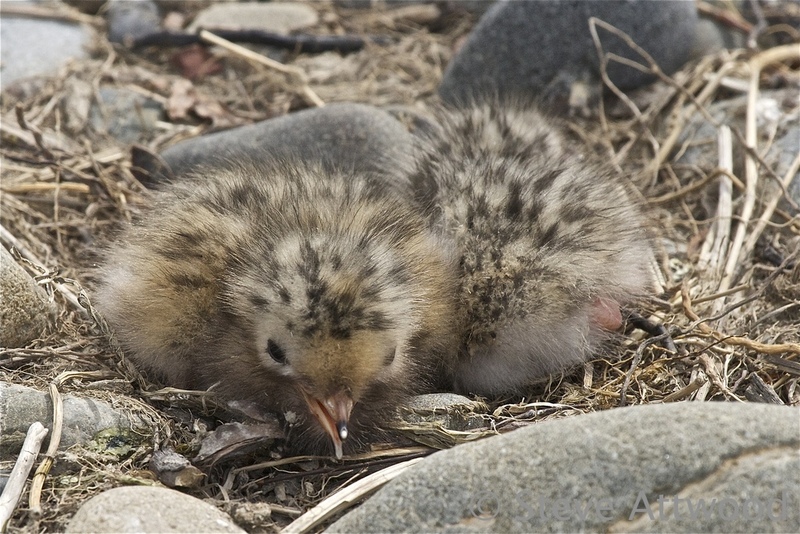 The gull chicks grow quickly and frequently form crèches in between their parents’ visits with food; bundles of down moving together around the colony and down to the river’s edge to bathe, swim and exercise their wings. 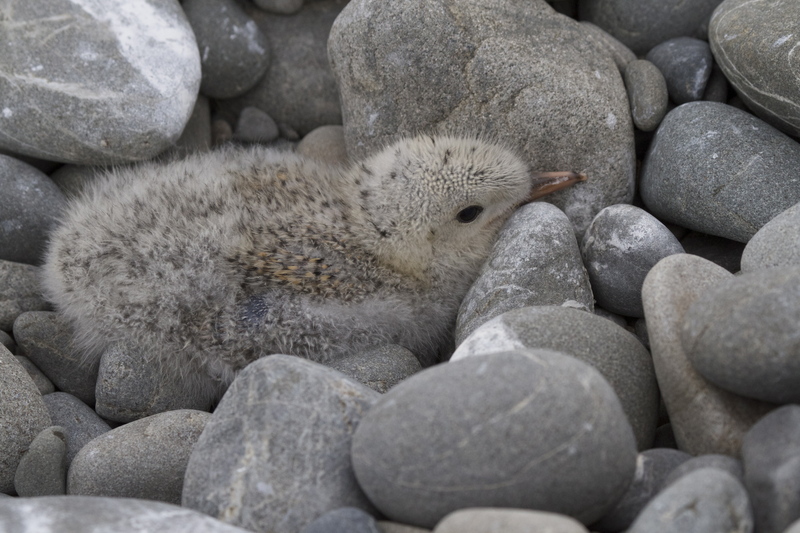 Wrybill, stilt, dotterel and plover chicks stick close to their parents, freezing to invisibility among the stones when a parent bird calls a sharp alarm. 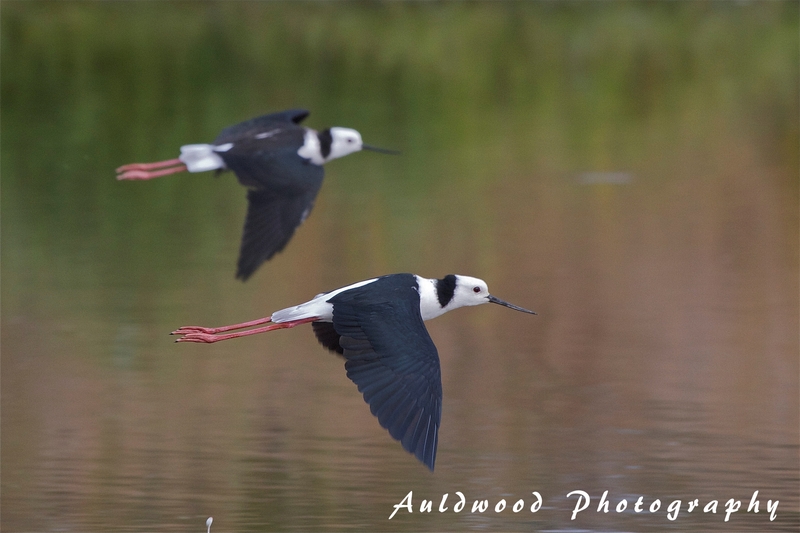 In the mixed colonies the alarm call of a stilt will have the same impact on the chicks of other species as it does on its own youngster, with all of the chicks hunkering down. 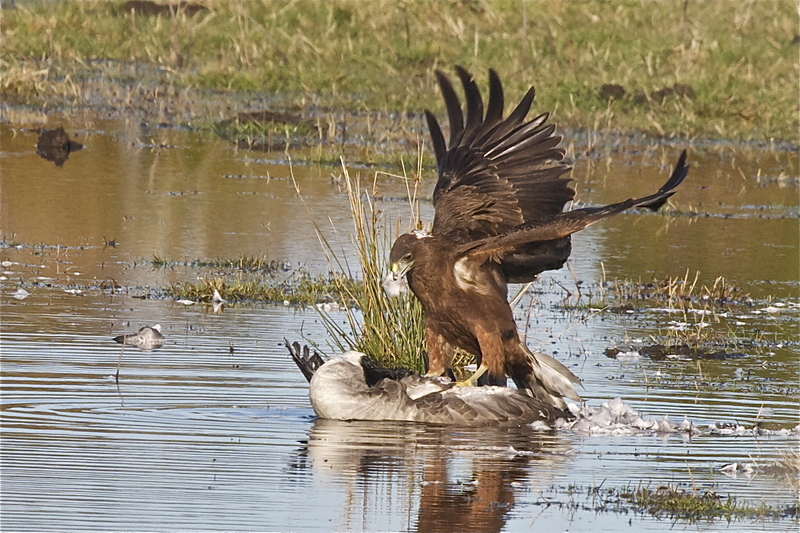 This is an excellent tactic for aerial predators such as the kahu (Australasian swamp harrier) or the karoro glide on by, but is of little use against the introduced mammalian predators such as stoats and feral cats, which can hunt by smell as well as sight. 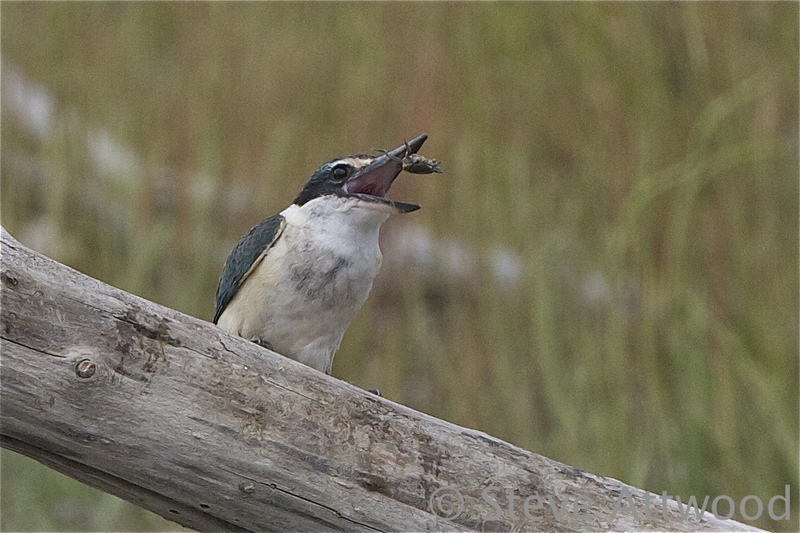 Late summer finds chicks fledging all over the place and testing their hunting skills. Tarapiroe glide up and down the river, imitating their parents with quick dives from a near hovering flight to seize fish. At first they are clumsy and miss more often than not, but patience and repeated tries are finally rewarded. 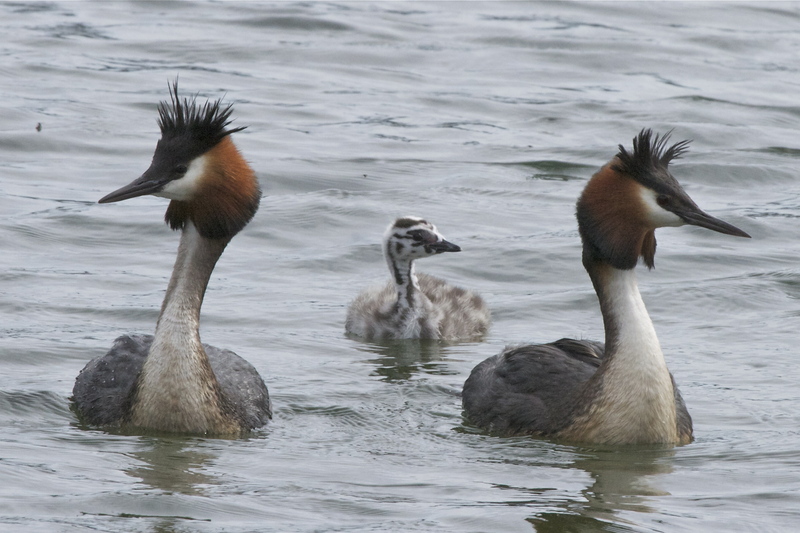 By early autumn all of the birds that have managed to keep their young alive throughout the season, surviving unexpected floods and predatory attacks from natural and introduced predators alike – let alone disturbance by careless humans and their recreational vehicles – begin to depart; some in the company of their newly fledged teenagers, but others leave the ‘kids’ behind to fend for themselves before they, too, driven by instinct, gather together to flock to their wintering-over grounds on the coast, further north or across the Tasman sea. The estuary becomes busy again now as the river breeders return to fatten up. Many, such as the black-fronted terns and the black-billed gulls, will stay, utilising the riches of the coastal waters to see them through the winter ahead. The wrybill all fly up north where they flock in their thousands along the coast of the Firth of Thames and in other northern estuarine areas. 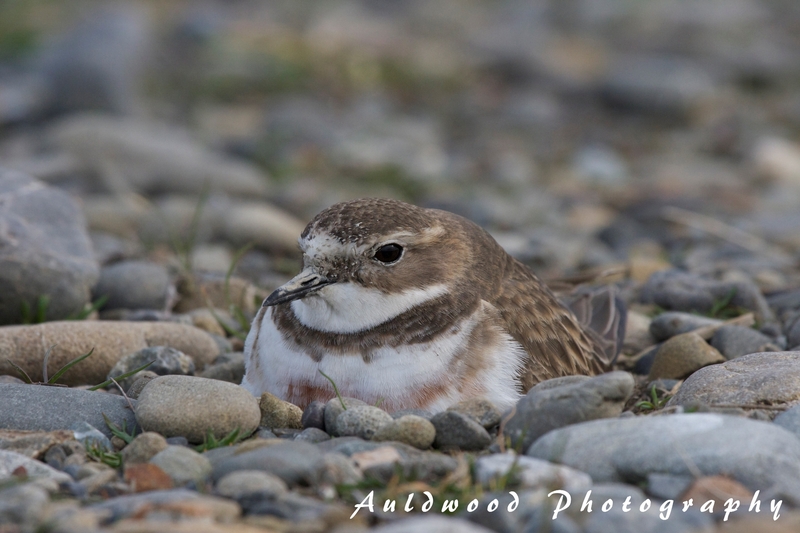 Some banded dotterel stay in their home territories on the coast, but those that have bred inland will return to the coast and many travel to Tasmania and southeast mainland Australia in an unusual east-west migration. 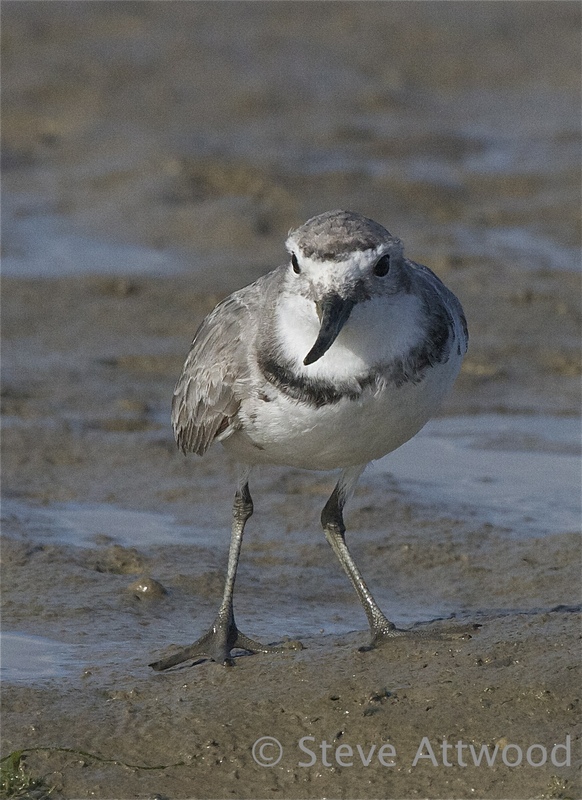 Stilts and plovers, too, have a mixed response to the approach of winter. 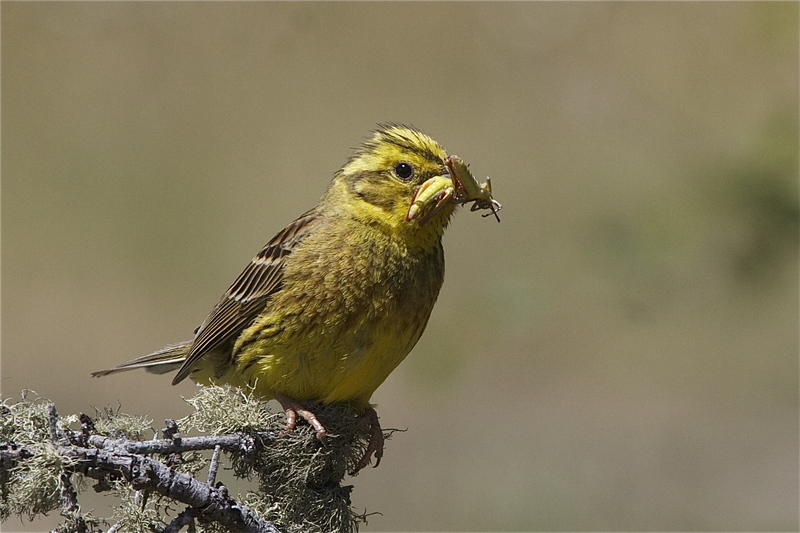 Some stay put, others move to the coast, and still others make long flights to preferred over-wintering territories elsewhere in the country. The river is not entirely abandoned though. 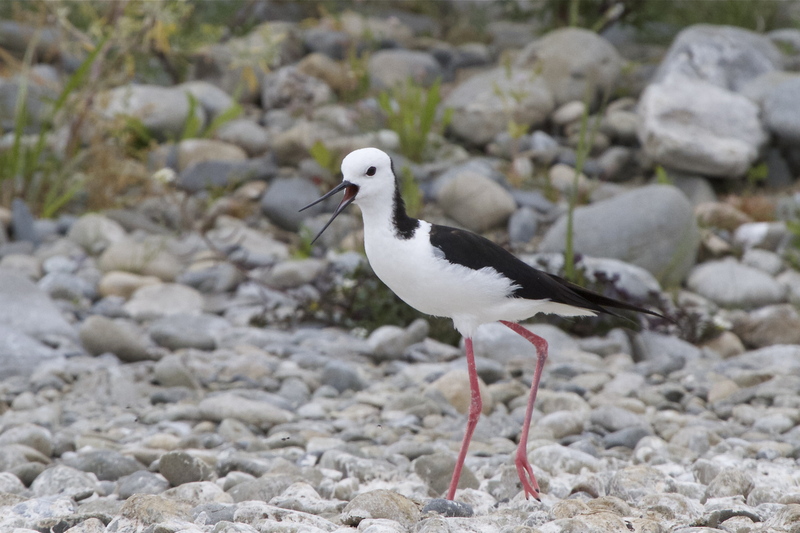 Many stilts, dotterels and plovers remain, as do some of the gulls, and winter visitors also move in, including the kotuku that have left their breeding colony on the West Coast to scatter throughout the country in lakes, rivers and estuaries. 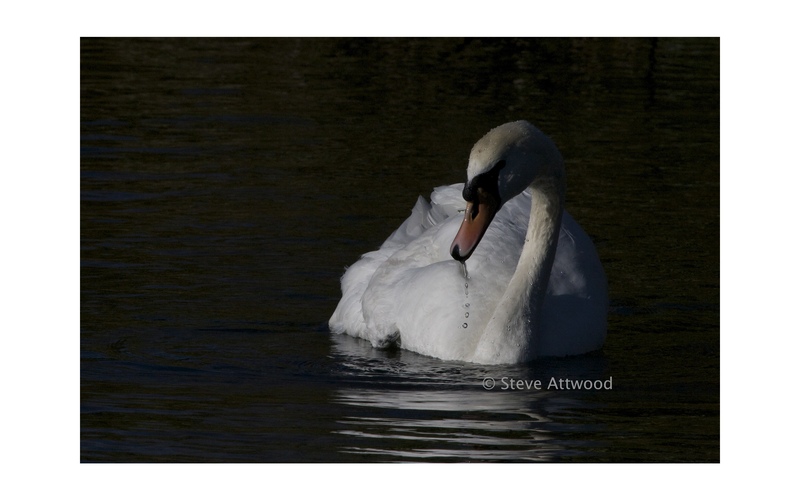 Soon, the perils of winter floods and frosts will pass, and spring will come around again. And then, just as the whitebait begin to come in from the sea, the river breeding specialists will return to trust their eggs to the stones and gamble again with the fickle floods of spring. 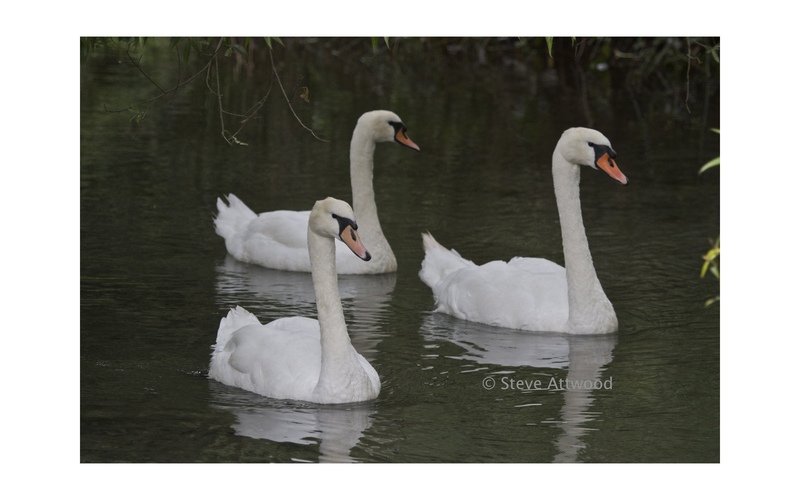 The criteria for my Wild in the City series is that the focus of each episode in the series be a wild place within or close to Christchurch City and readily accessible. The Ashley-Rakahuri River meets these criteria and more. 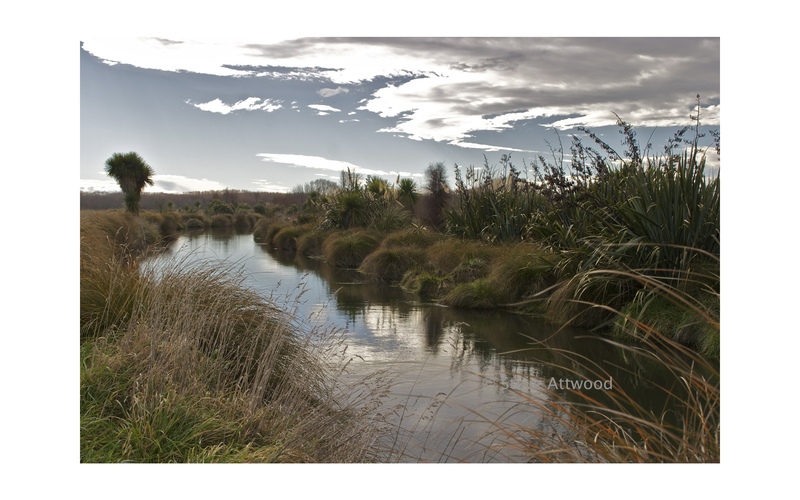 There are far mightier braided rivers in Canterbury, but the modestly sized Ashley-Rakahuri is an ecological gem, a taonga* of a value disproportionate to its size. The Ashley-Rakahuri is a smaller braided river and is rain fed, originating in the Canterbury foothills, rather than glacier-fed and originating from the eastern slopes of the Southern Alps as the dominant braided rivers of Canterbury such as the Waimakariri, Rakaia and Rangitata do. But what the Ashley-Rakahuri lacks in size it more than makes up for in variety. 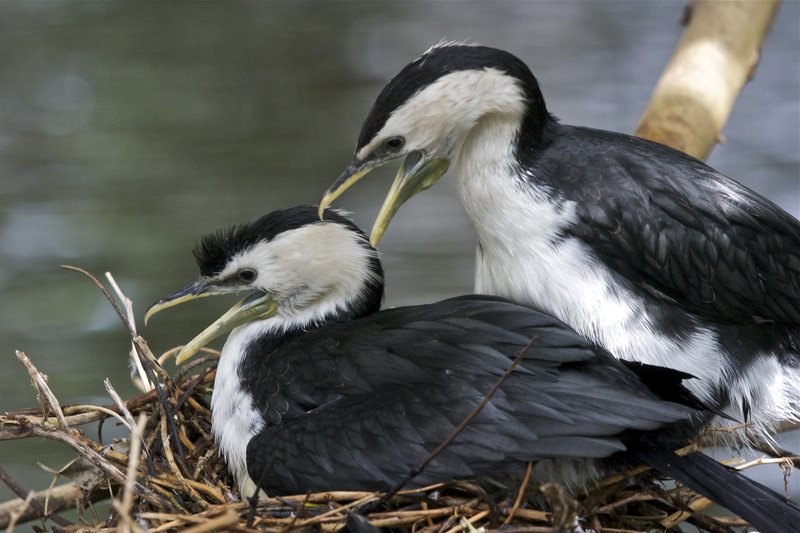 Among its labyrinthine waterways, dynamic shingle islands and stony banks breed some of the most rare and endangered birds in the world. In a relatively short span of riverbed quite close to the township of Rangiora nest three of the principle and most threatened braided river specialists: The black-billed gull (the most endangered gull in the world), the unique wrybill (under threat and the only bird in the world with a bill that bends sideways), and the beautiful black-fronted tern (also an endangered species). 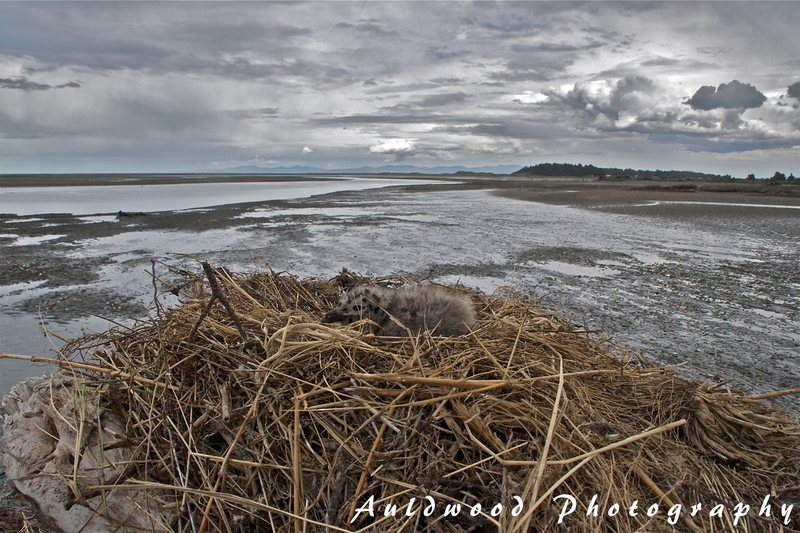 Where the Ashley-Rakahuri reaches the sea, just 25km north of Christchurch, it spreads out into a large, generally unmodified estuary that is ranked as an internationally important wetland with a host of resident and seasonally visiting birds. 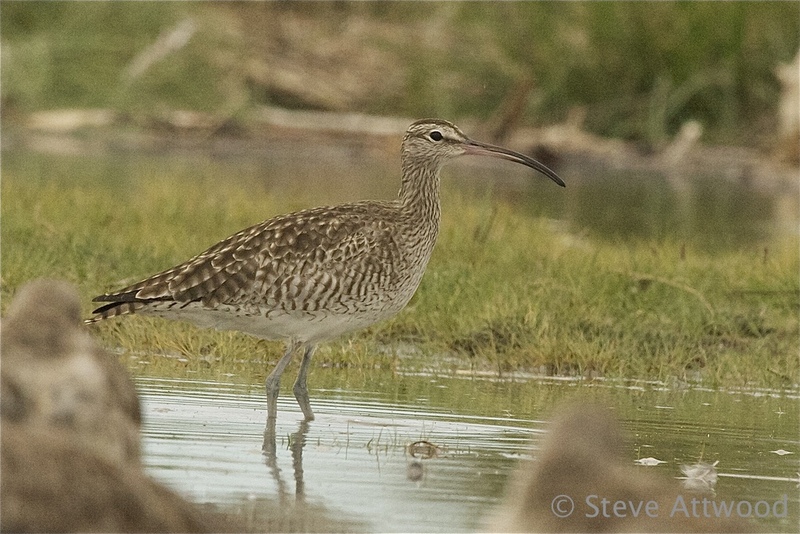 It is a vital stopover site for birds migrating up and down the coast, and beyond; including the iconic kuaka (bar-tailed godwit) and other Arctic migrants that live out their winter in our summer. But, being so small in comparison to the bigger braided rivers, The Ashley-Rakahuri also offers a unique opportunity for effective intervention; initiatives to protect the river in places where the most threatened of birds are known to feed and breed – predator trapping, weed clearance, public education, vehicle discouragement and monitoring – are showing signs of at least stopping the decline of the endangered species, perhaps even reversing it. 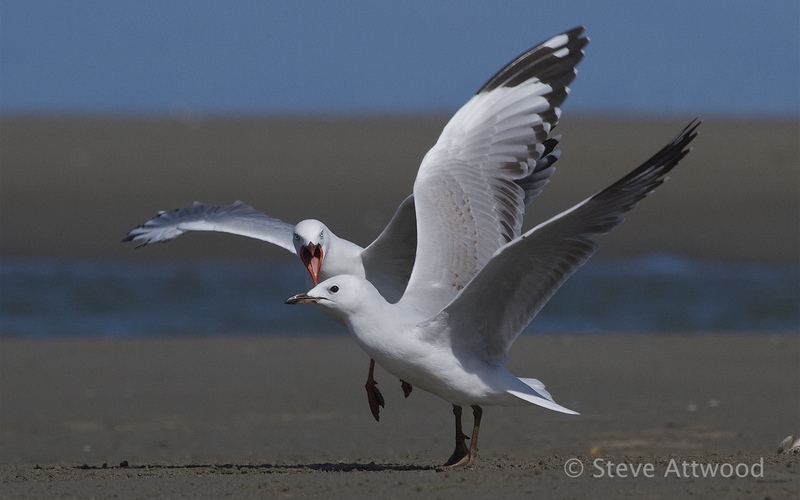 While the protection efforts at the Ashley-Rakahuri focus on the wrybill, black-billed gull and black-fronted tern, many other bird species benefit. 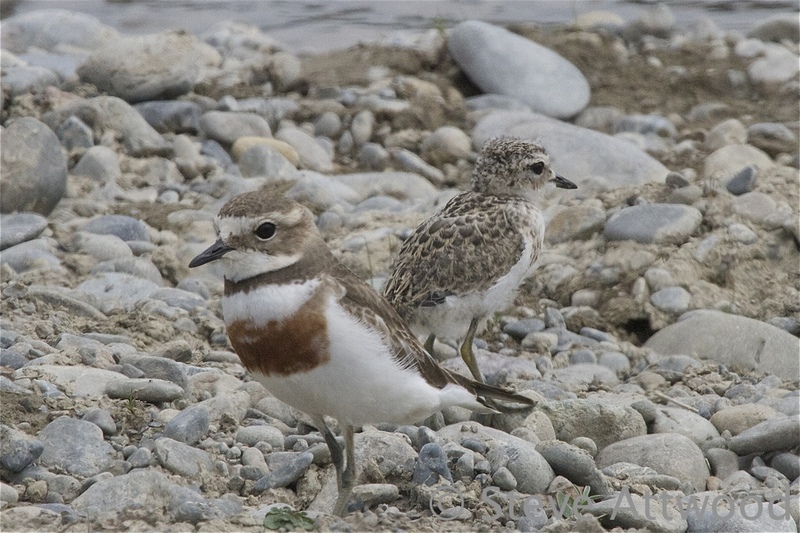 The braided river is home to such other key native species as the tuturiwhatu (banded dotterel – Charadrius bicinctus), the poaka (pied stilt – Himantopus himantopus) and the torea (pied oystercatcher – Haematopus ostralegus). 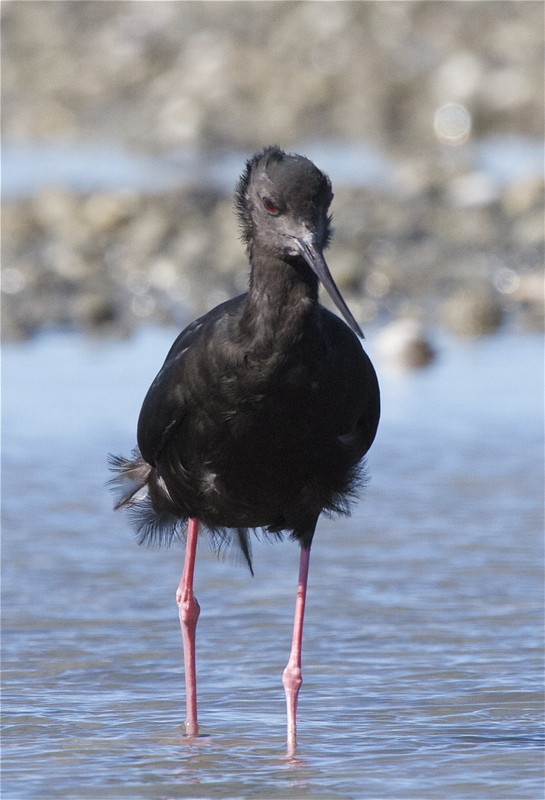 The very rare kaki (black stilt – Himantopus novaezelandiae) has bred occasionally on the river in recent years (mated with a pied stilt) and over-wintering kaki are regularly seen in small numbers on the estuary. 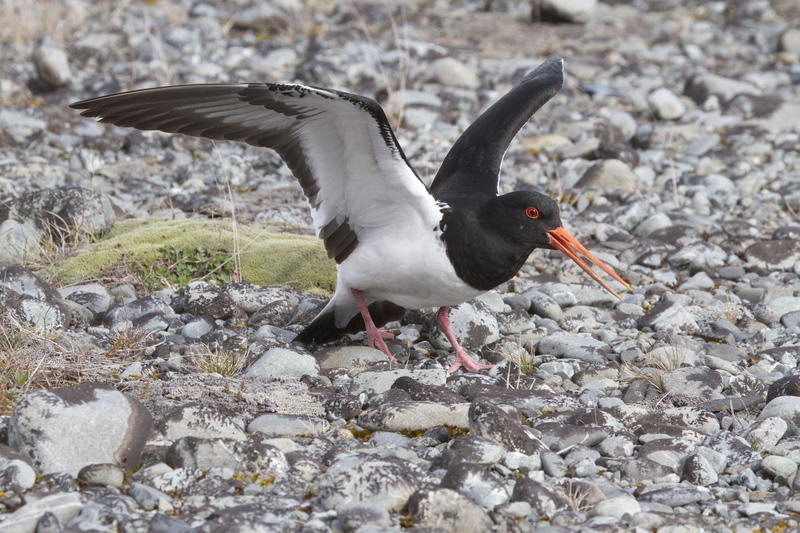 A torea – South Island Pied Oystercatcher. 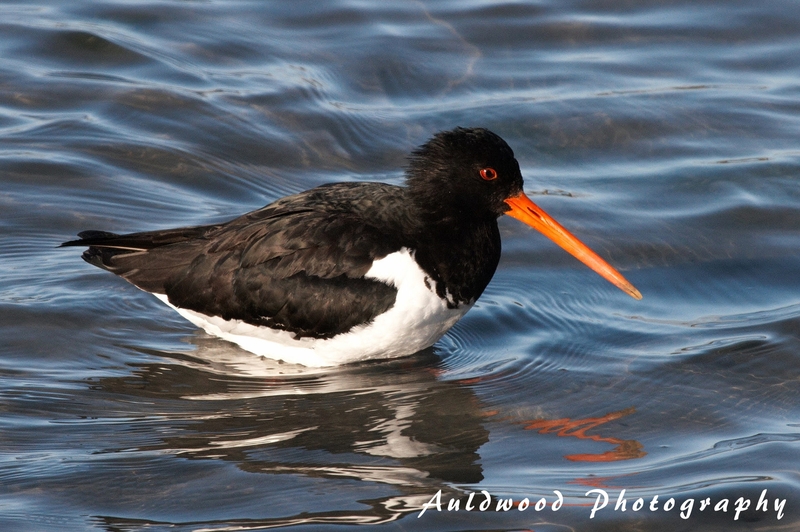 The Ashley is known for being a place where SIPO and Variable Oystercatcheres hybridise. 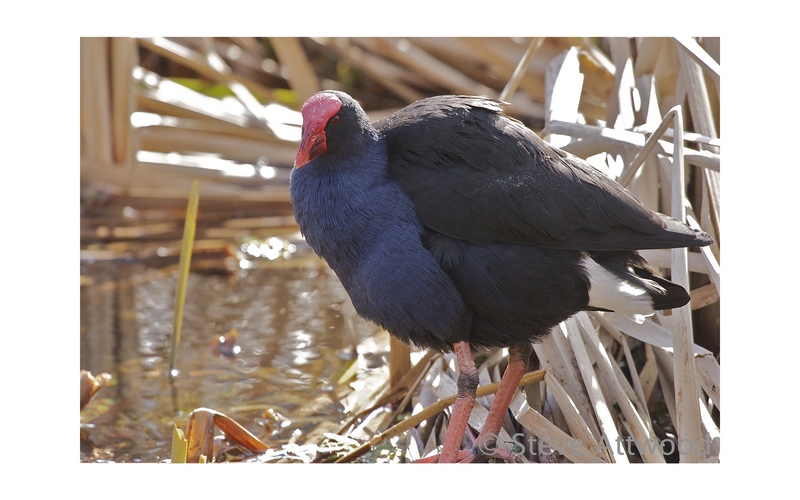 Christchurch New Zealand is blessed with a variety of places within the city boundaries where pockets of wildlife, especially our birds, continue to thrive. I’ve decided to feature these places in a series. This is the second. The dictionary defines a groyne as a wall or jetty built out from a riverbank or seashore to control erosion, and it is just such a prosaic structure that has given its name to one of Christchurch city’s wild treasures, The Groynes Park. 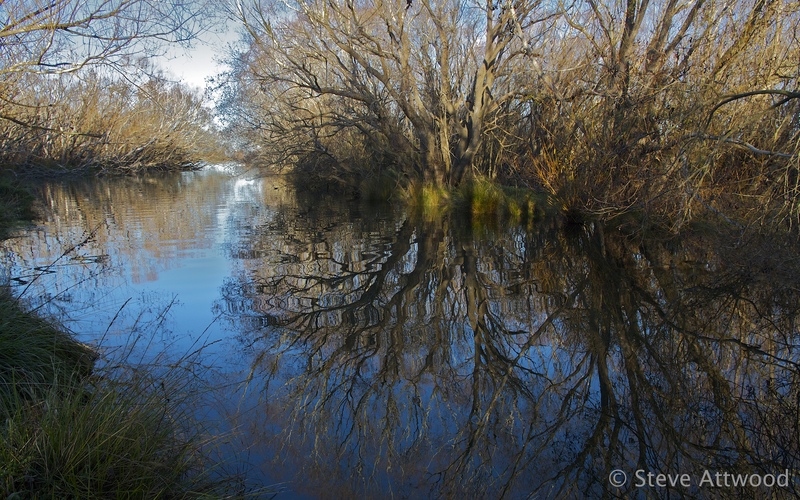 The area now occupied by Christchurch was once part of a vast wetland of rivers and streams, artesian springs, swamps, small lakes, grasslands and native forest that abounded with life, especially birds. With the arrival of European colonists came drainage for farming and settlement and the ‘taming’ of rivers within stop banks. As a result, nearly all that wetland has gone save for a few precious small and isolated remnants. The Groynes, though highly modified with exotic planting and groomed parklands, are one such remnant. The groynes themselves were made from concrete-filled woolsacks. The sacking has long since rotted away leaving these squat, odd-shaped ‘bales’ around which surge the clear waters of the spring-fed Otukaikino Creek. Along the borders of this creek has been created The Groynes Park. 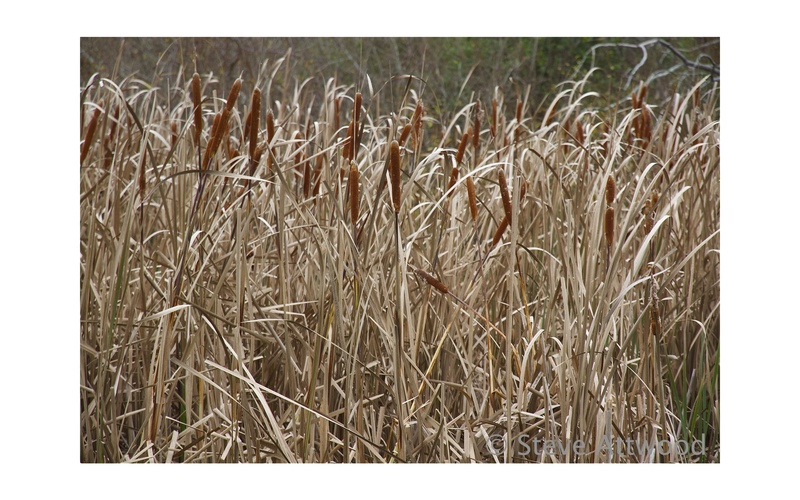 Weirs and excavations have created a series of long pools and small lakes and low falls that spill through a large area of exotic plantings, mostly poplars and willows, mixed with remnants of native forest. In spite of the large groomed lawns for picnickers and sport, and the manicured banks of the artificial lakes, much of the Groynes has a wild feel to it. Trees grow thick and un-pruned, the water is dark in their shadow and blackberries, bracken fern and ivy run rampant through the undergrowth, making progress all but impossible except on the designated paths. Now, the landscapers have gone full circle. Their predecessors removed the forest and drained the wetlands, replacing kahikatea, matai, toetoe and harakeke with pines, eucalypts, alders, hawthorn, rowan and cotoneaster. Today’s gardeners are re-planting the native species and restoring marshy wetland; their long term vision to see the return of some semblance of the rich Canterbury plains wetlands with their tall swamp forest trees and associated wetland species (plants, birds, fishes, reptiles and insects). What is wonderful is that this eclectic mix of exotic and native plants sited in a blend of natural and human-created landscapes, is home to a remarkable array of animals, especially birds. In this world, too, exotic rubs shoulders with endemic. 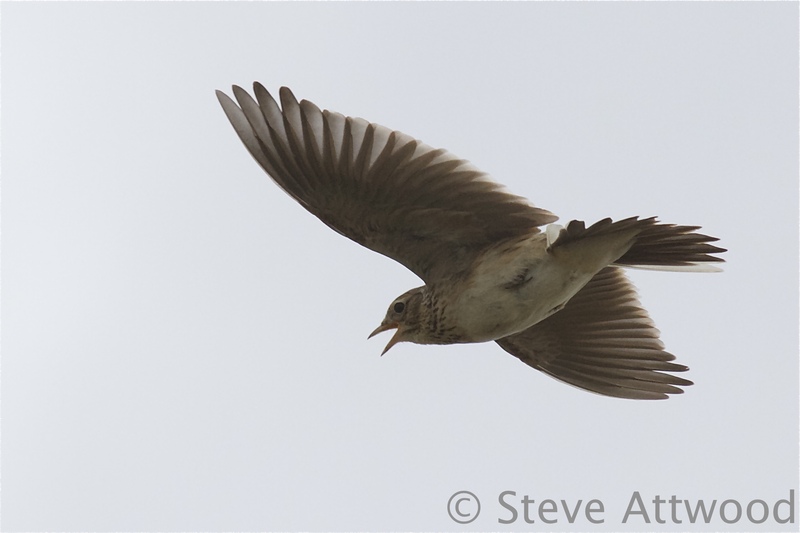 The European song thrush and blackbird root through the forest floor while a metre or so above their heads piwakawaka flit around, picking up the insects the larger birds have disturbed into flight. 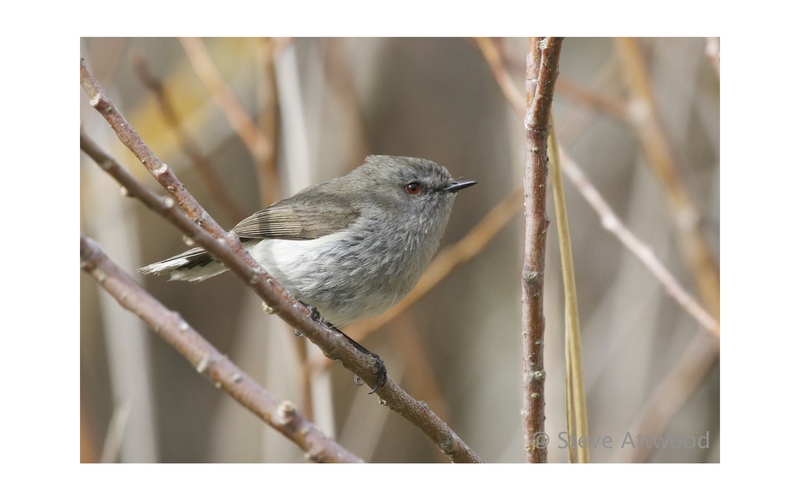 The tiny silver-voiced riroriro cares not whether it hangs its nest from the flimsy limbs of a juvenile kowhai, or among the protecting spines of the hawthorn. 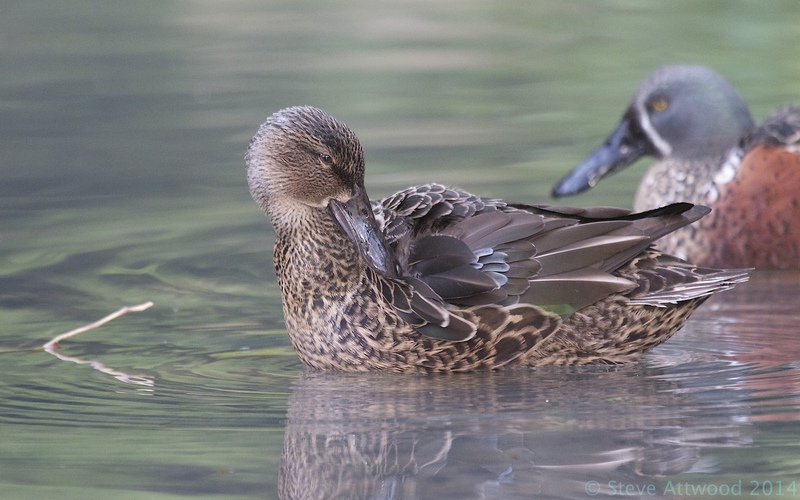 Kuruwhengi glide across the ponds alongside introduced mallards, though the native bird distains the offerings of bread from visiting children that the mallards greedily devour. 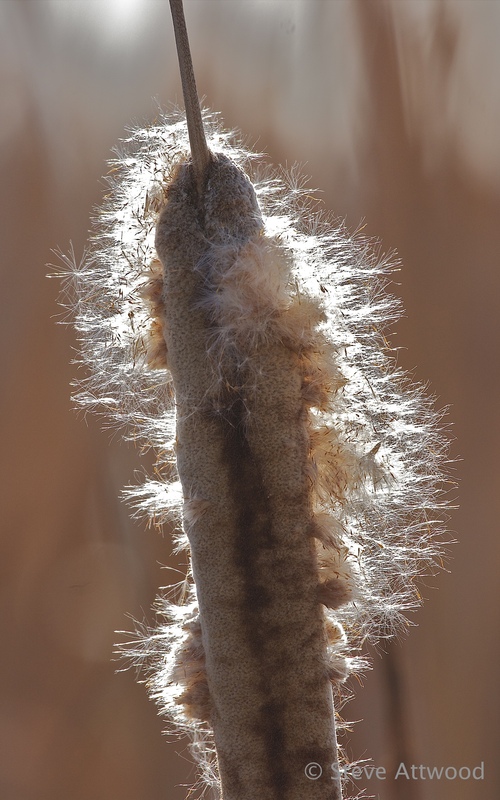 With re-vegetation of native species continuing, this mix of native and endemic species is continuing to develop. On any given day the park rings with the joy of recreating humans barbecuing, playing ball, kayaking on the lakes, walking their dogs and fishing from the ponds. 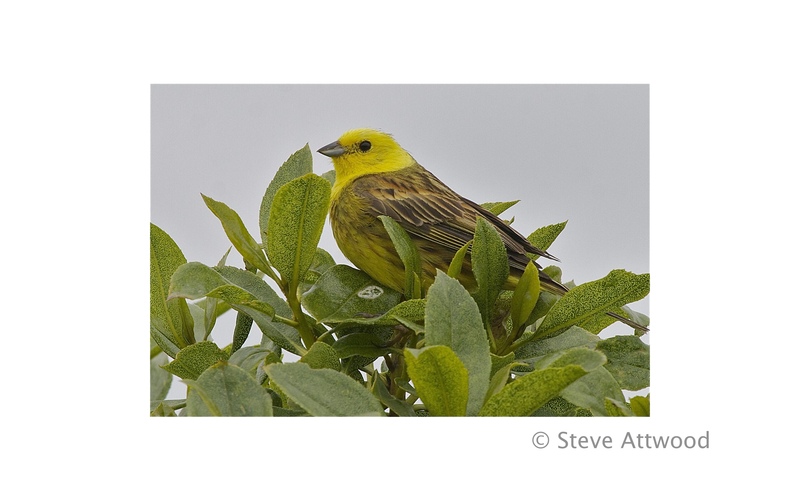 And, right beside them, the bird photographer can delight in a list of species that is impressive for a green island on the edge of a large urban environment. 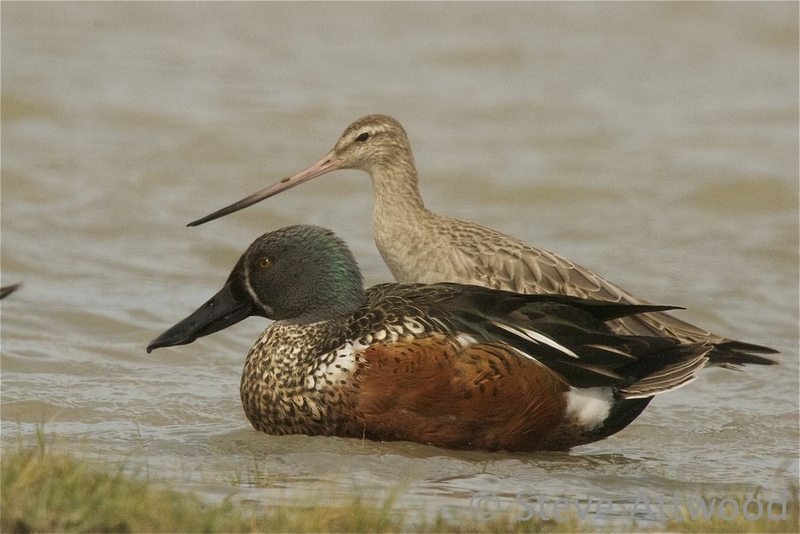 On the water the native species include kuruwhengi (Australasian shoveler), tete (grey teal), papango (New Zealand scaup), black swan, coot, kawau (black shag) and kawaupaka (little shag). Flitting over the ponds’ surface warou (welcome swallow) can be seen and kahu (Australasian harrier hawk) patrol the skies. 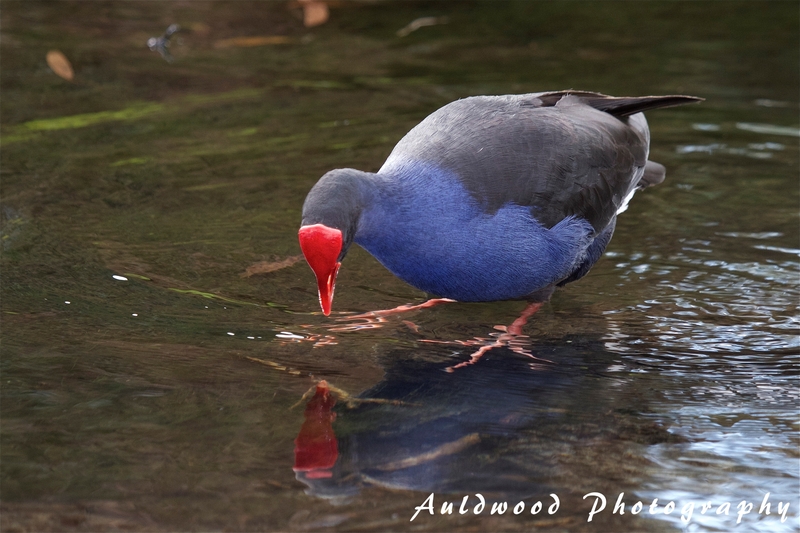 Pukeko wade the edges of the streams, kotare (sacred kingfisher) spy down from overhanging branches, and kereru (New Zealand pigeon) pluck the tender shoots of kowhai and willow alike. 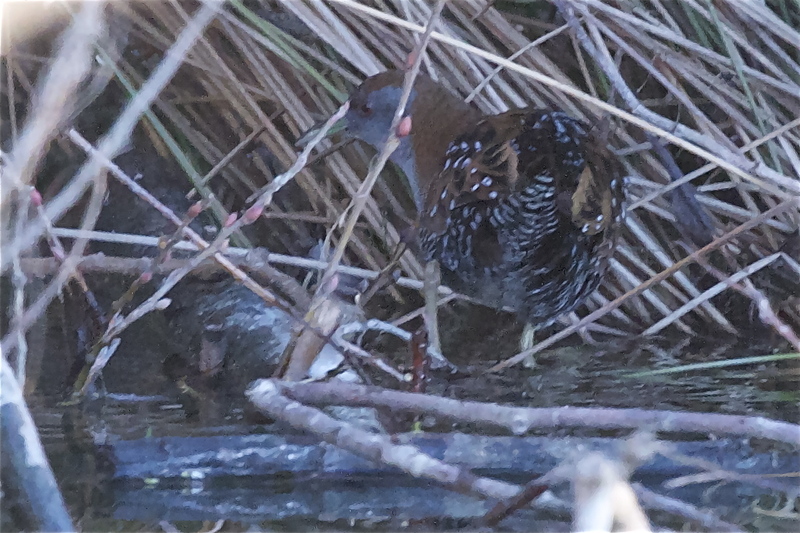 A lone koitareke (marsh crake) – ultra secretive birds – has also been reported. 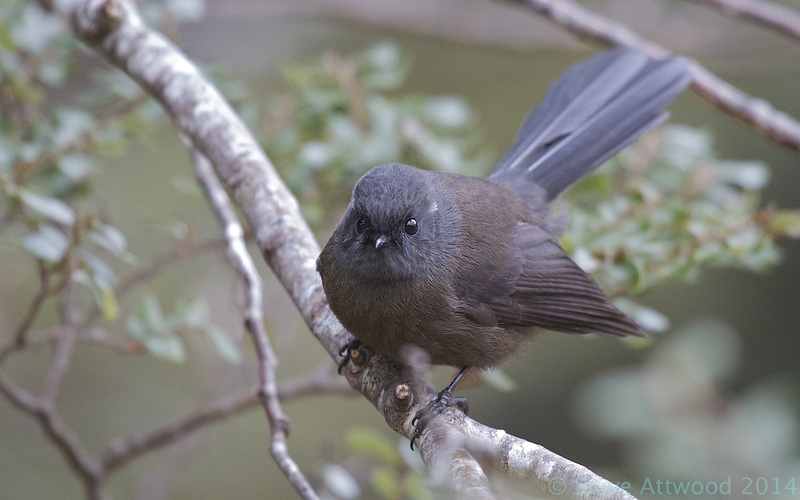 The native forest birds include riroriro (grey warbler), piwakawaka (fantail), tauhou (silver eye), korimako (bellbird) and, in the spring, pipiwharauroa (shining cuckoo). 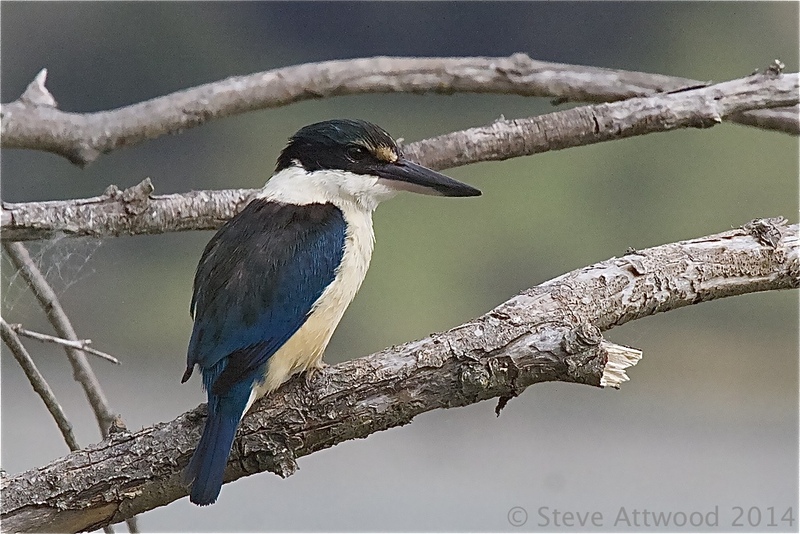 Rare native bird visitors include karearea (New Zealand falcon), matuku (Australasian bittern) and kotuku (white heron). 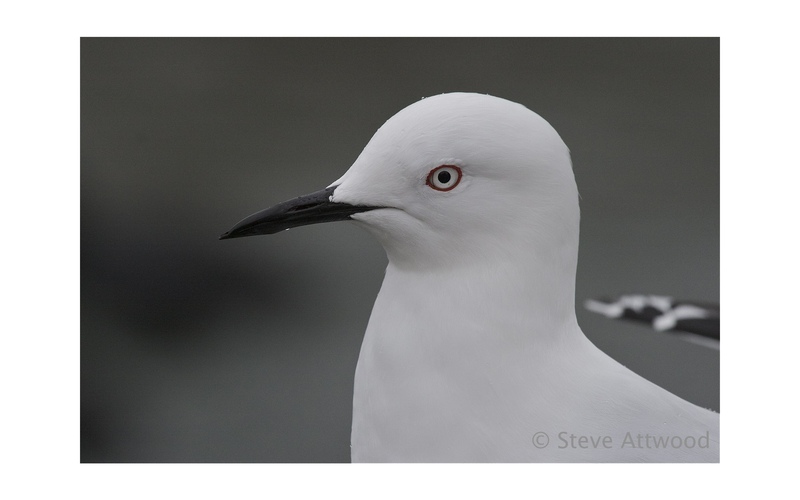 Three species of gull also visit The Groynes, including the black-billed gull, which is endemic to New Zealand and the most endangered gull species in the world. 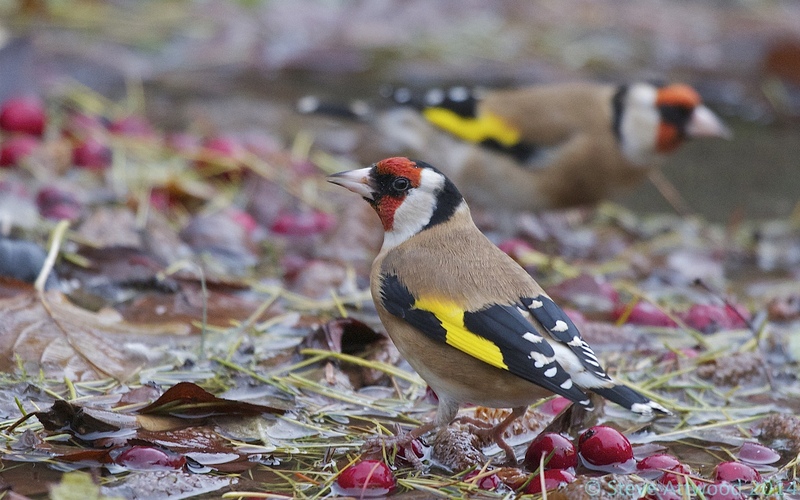 Their exotic companions include mallard, domestic geese and ducks, Canada geese, redpoll, chaffinch, goldfinch, greenfinch, sparrow, dunnock, blackbird, thrush, Australian magpie, feral pigeons, starling, yellowhammer, cirl bunting (an uncommon and visitor) and skylark. 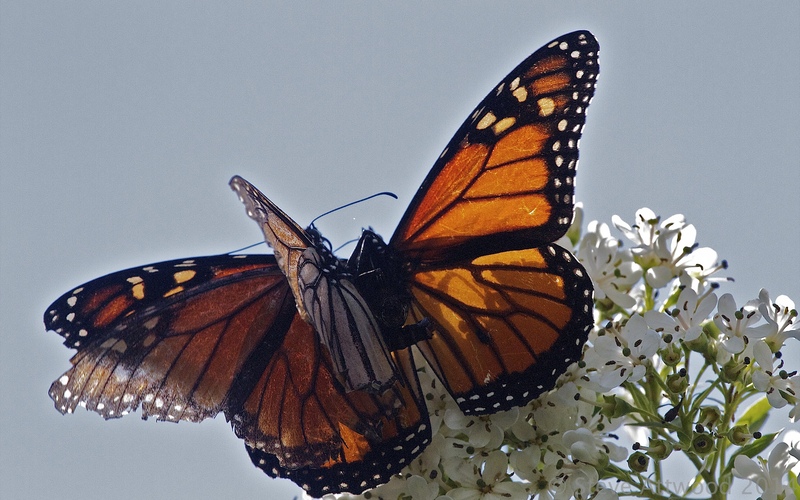 The objective for future plantings is to contribute to and maintain the park’s historical features, maintain wide open spaces and create new variable sized spaces, enhance the ecology of the riparian edges, and provide native habitat and ecological interest. This will improve ecological values and recreation for future generations. 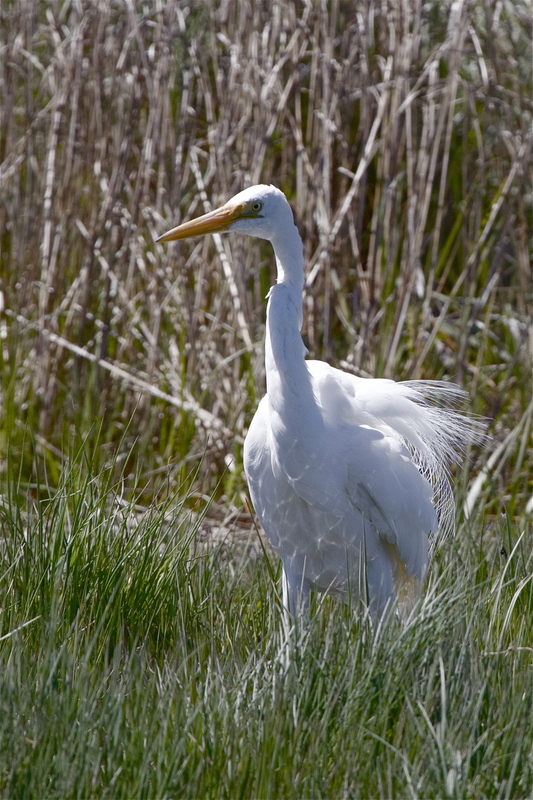 Christchurch is blessed with a variety of places within the city boundaries where pockets of wildlife, especially our birds, continue to thrive. I’ve decided to feature these places in a series. This is the first. One of the real taonga (treasures) of wild Christchurch is, perhaps, unexpected, given that it is in the heart of the city and is a totally human created landscape. Well over one million people a year visit this place, yet it is possible to find unique New Zealand fauna thriving there. 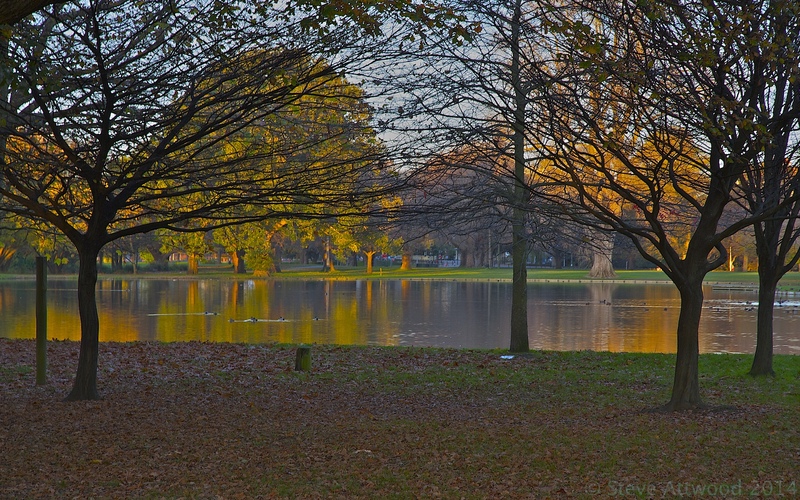 Those who know Christchurch will, by now, have guessed that I am referring to Hagley Park and, within that park, the Christchurch Botanic Gardens. Of course, with a provincial Government bent on recreating ‘Mother England’ (Christchurch is famed for being the most English city outside of England) Hagley Park is showcase of introduced trees, mown grass fields dotted with feature trees, sports grounds and a manmade lake where youths (and the young at heart) would sport with their model sailing boats. The banks of the Avon River winding through it have been shaped to please the landscaper’s eye. 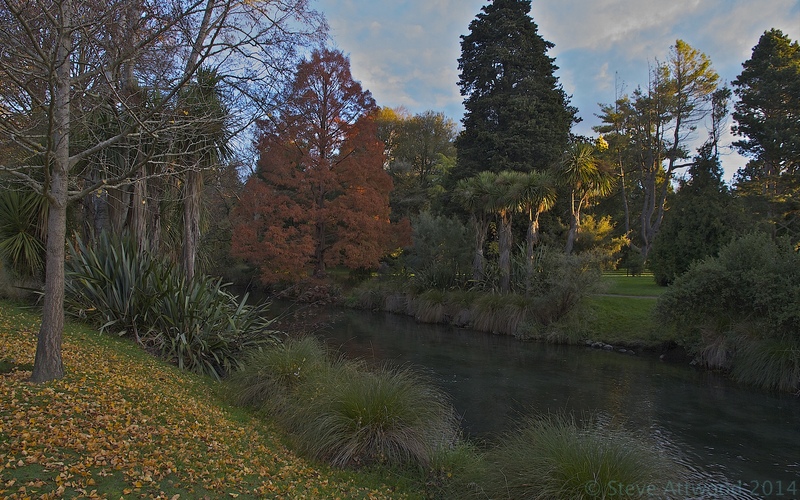 In a loop of the Avon River, bordered on three sides by the green expanse of Hagley Park, are the Christchurch Botanic Gardens. Some 1.1 million visitors come to the gardens each year, making them one of the city’s most popular attractions. They are regarded as one of the finest collections of exotic plantings in New Zealand. Such is their age that those early trees planted by the English pioneers (beginning with a single oak) are now venerable giants casting their shade wide across the manicured lawns or leaning imperiously over the river as if they had always been there. But not all of these gardens are an exotic salute to the gardener’s art. 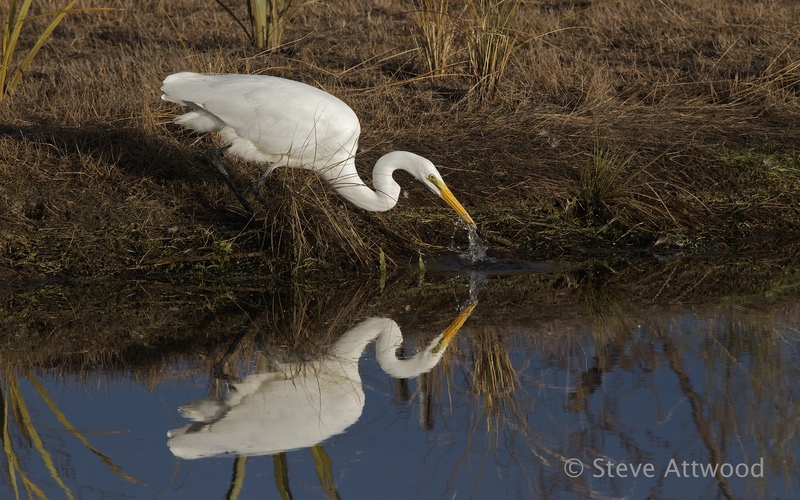 Natives have been encouraged back along the river banks; indeed following the recent earthquakes we have seen new shallow wetland bays created and filled with indigenous plants along the inside of some of the Avon’s bends, where water birds might once again build their nests. 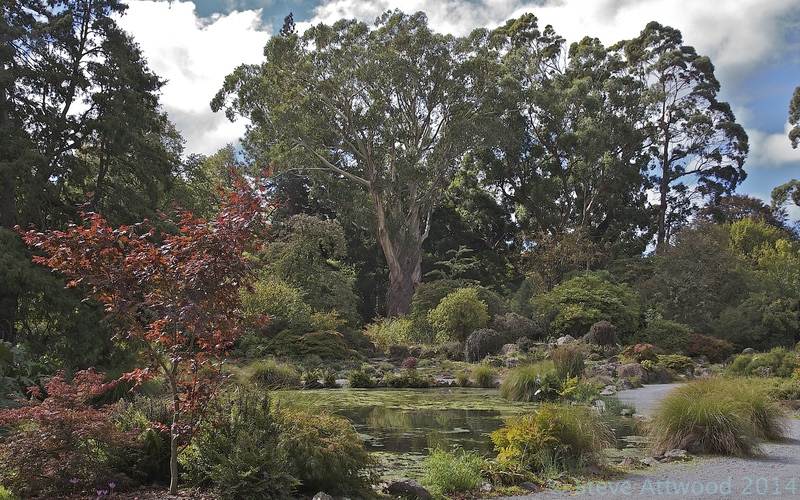 And near the river’s edge of the Botanic Gardens a large section of New Zealand natives has been planted and enhanced over the years and now represents a significant native collection in its own right. On the scale of things it is a comparatively small area, but it is wonderfully varied and enjoys the presence of many mature tall trees with their associated under-storey plantings; a ‘small but perfectly formed’ example of the indigenous vegetation that once covered thousands of hectares in the vast wetland that was Otautahi long before it ever came into the sight of European town planners’ eyes and received it’s religious moniker. This is a perfect place to wander. It is an isle of peace in spite of it attracting so many people within its boundaries every day and being surrounded by wide avenues humming with traffic. A summer stroller might be lulled by the gentle ripple of the languid river, the solid thwack of a cricket bat on ball and the clear laugher of children in the playground pool. A spring visitor will pause to admire the daffodils, breathe deep of the smell of the season’s first cut grass and hear the whiz of cyclists freed from scarves, gloves and balaclavas. Autumn revelers will dash through piles of rustling leaves and thrill to the long low light glowing softly through the yellow orange brown red leaves. In winter a crackling frost greets hardly golfers on the wide greens and ice may tinkle under the drooping riverside sedges. 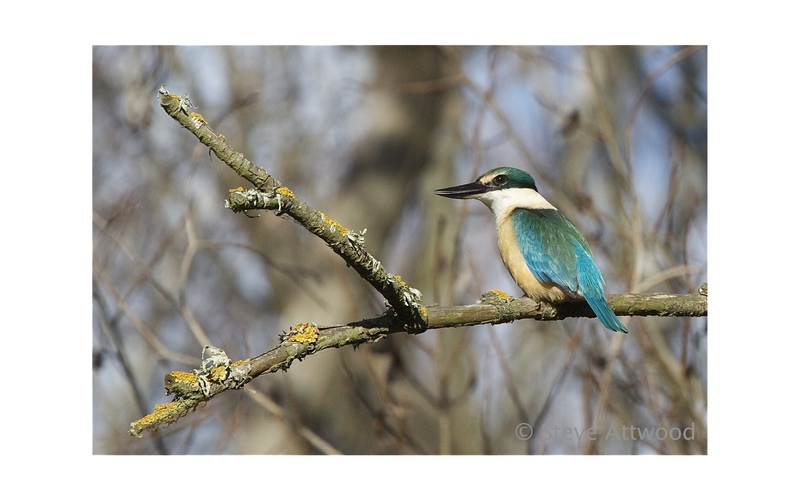 But in any season gardens and park will chime, chirrup, cheep, chirp, coo and quack, for – perhaps because of its wide variety of landscapes, ecosystems and plants – they are a haven for birds; exotic, native and endemic. 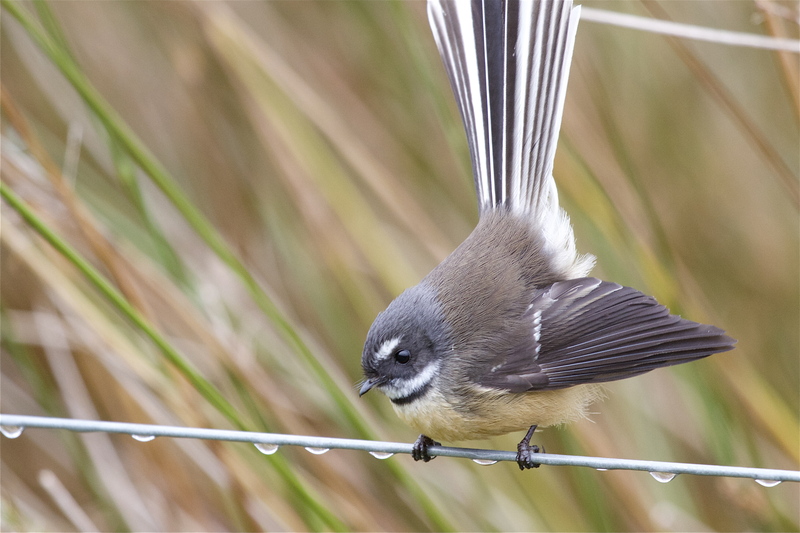 Fantails flicker as happily among the silver birches and oaks as they do among the kahikatea, ti kouka and manuka. 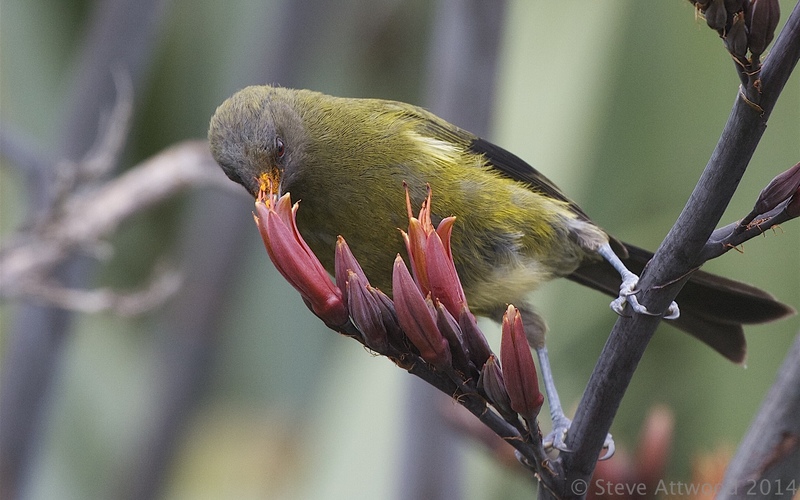 Bellbirds drip their silver notes from deep yellow kowhai or from atop the tallest northern hemisphere pines. Kereru swoop from tall kahikatea to gorge on the spring tips of willows. 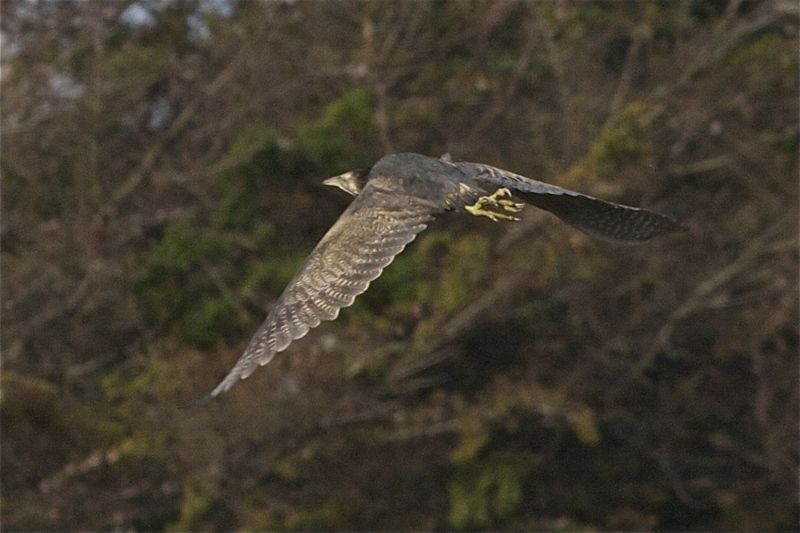 A rare karearea swoops at speeds up to 200 kph onto feral pigeons. In many ways this mixed landscape of native and exotic is the new, New Zealand ecosystem. The introduced has been here long enough to become established and the locals have adapted. 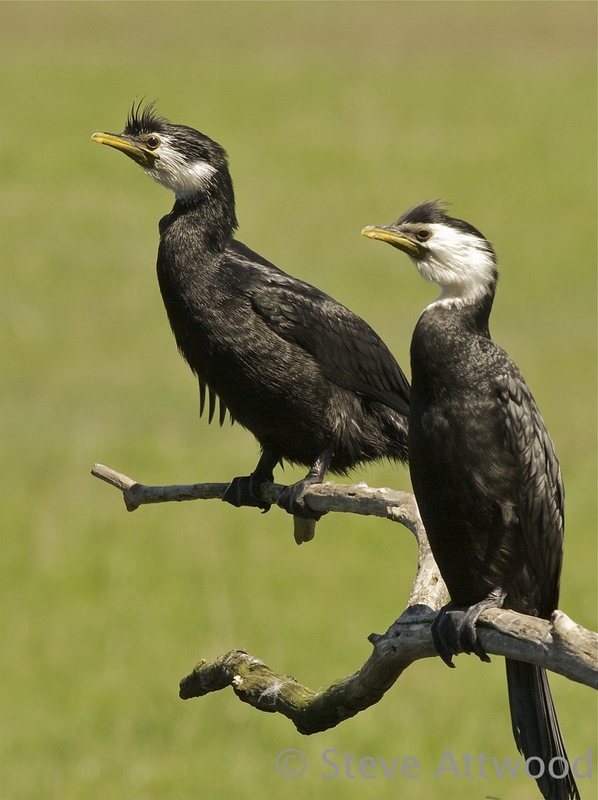 European starlings feed on the nectar of harakeke and perform exactly the same pollination role as tui or korimako; pukeko tear down the heads of introduced cocksfoot to strip the seeds between their razor-edged bills; kotare are as happy to take goldfish as inanga. Of course, the birds do not live on thin air. The park and gardens provide an abundance of insects, seeds, fruits, nectar, worms and other invertebrates. 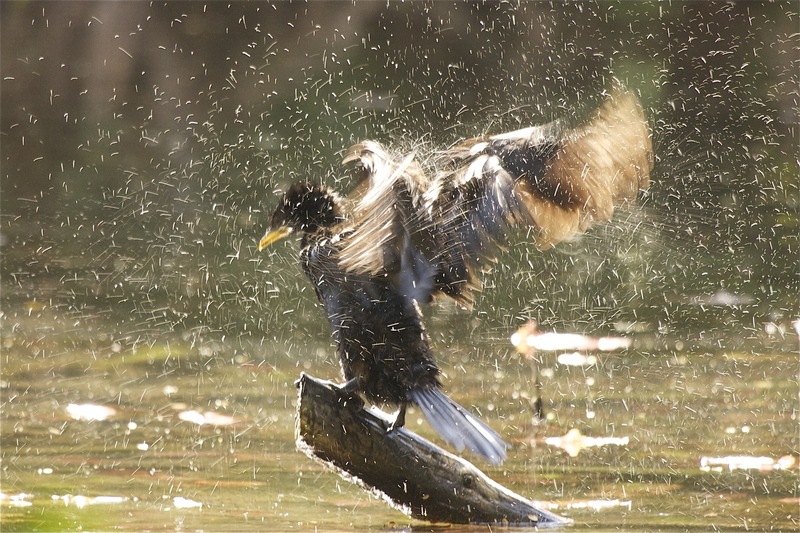 Water plays a special role in both park and gardens. 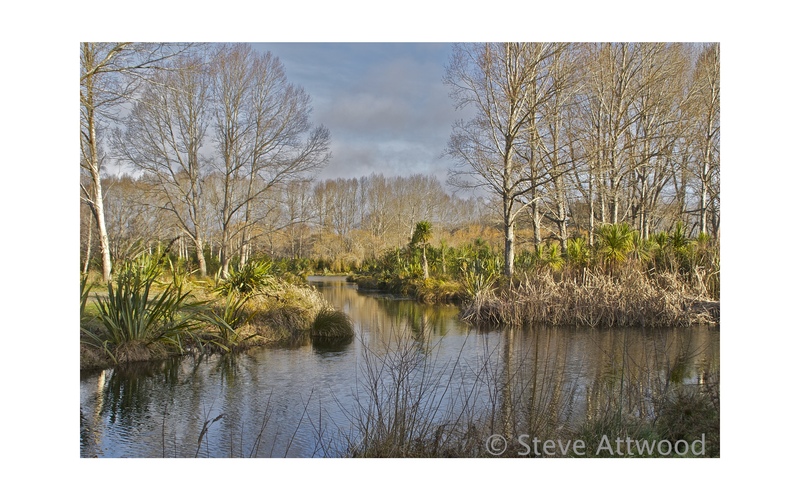 The Avon river winds through both and borders the gardens in a wide loop overhung with harakeke and willow, ti kouka and oak, kowhai and birch. 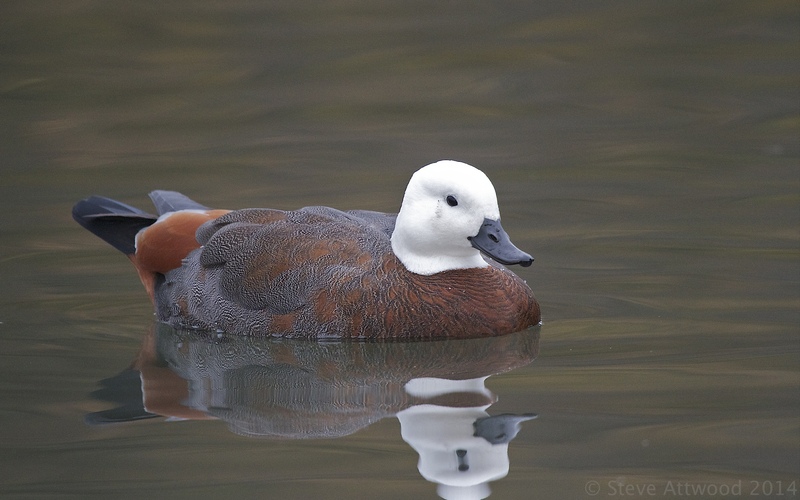 The ubiquitous mallard is a feature here but also three beautiful New Zealand ducks, the wide-billed kuruwhengi, the sensationally-coloured putangitangi and the real life rubber ducky, the papango. 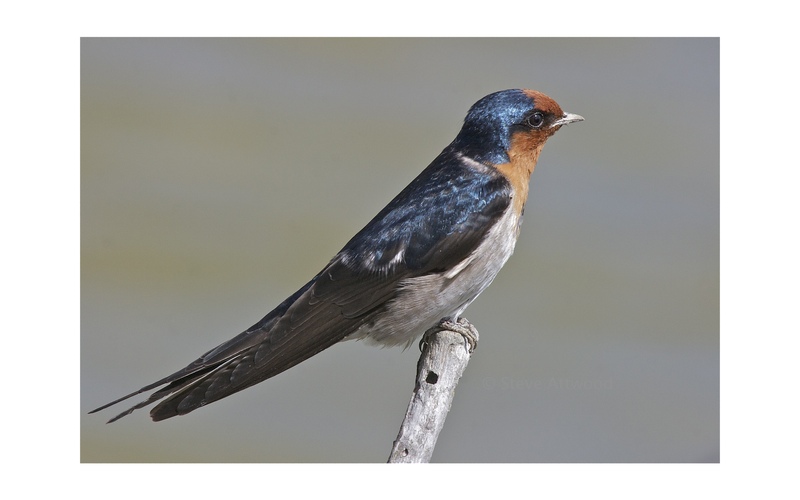 You might also have to say that warou (welcome swallow) could be classified as among the park’s water birds too, for they are never far from it and are often seen skimming at speed just above the surface of ornamental ponds and Avon River alike. 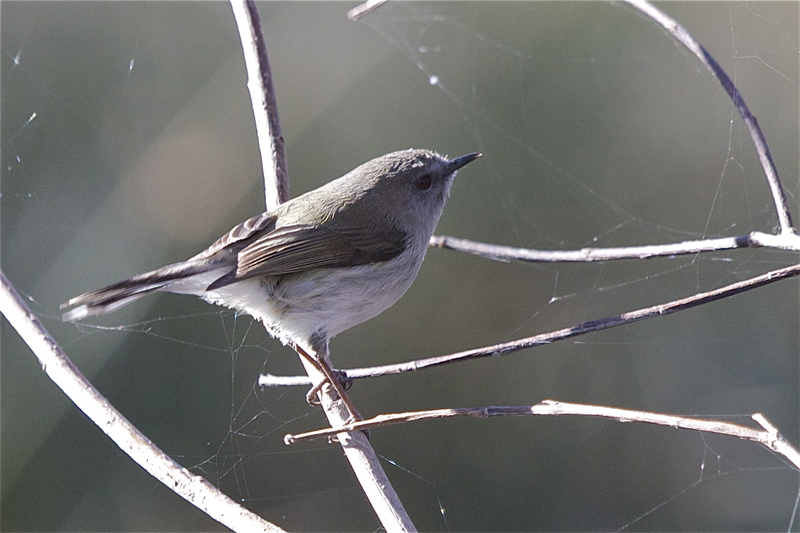 I cannot ignore the introduced passerines. 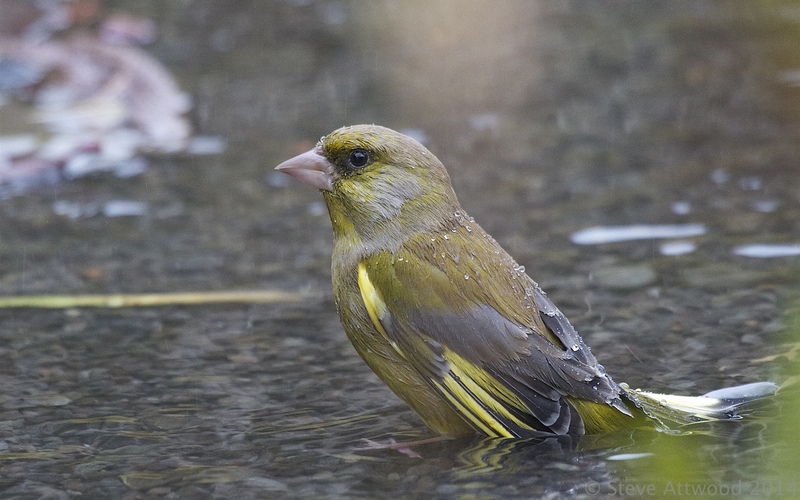 Finches, sparrows and dunnock, blackbirds and thrush, yellowhammer and cirl bunting (to name a few). Their songs add to the aural beauty of this inner city ecosystem. This is the beauty of Hagley Park and the Christchurch Botanic Gardens; this comingling of native and exotic. It is a delightful paradox. At once tamed and groomed, entirely the creation of human gardeners; and yet it is, truly, also a wild place . . . wild in the city.